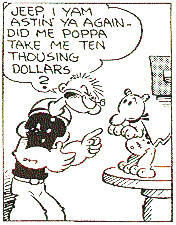 Jeep's nickname supposedly came from the post - WWII cartoon dog which briefly appeared with Popeye. 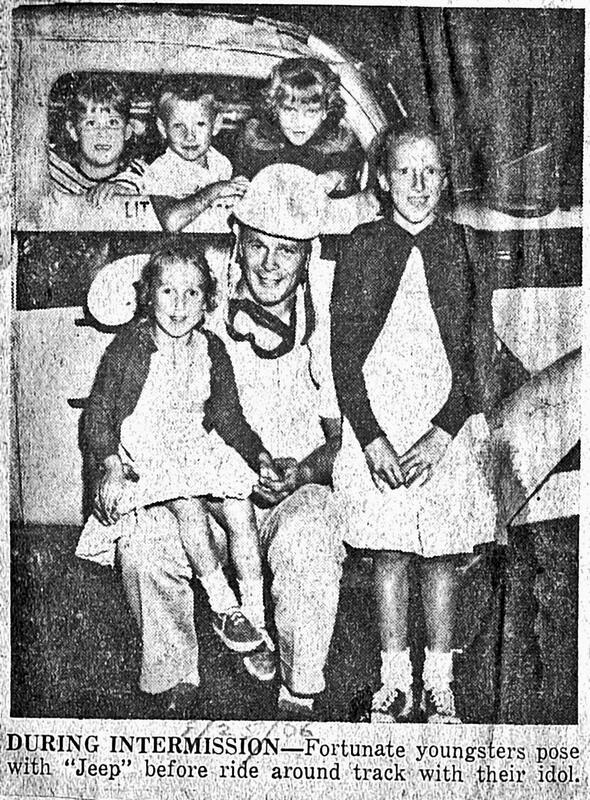 Like thousands of others, Howard Herbert, a diminutive man from the Capuital District in, New York, came back from service in WWII with a terrible cigarette habit and a hankering for some excitement that didn't include any Japanese or German weaponry. 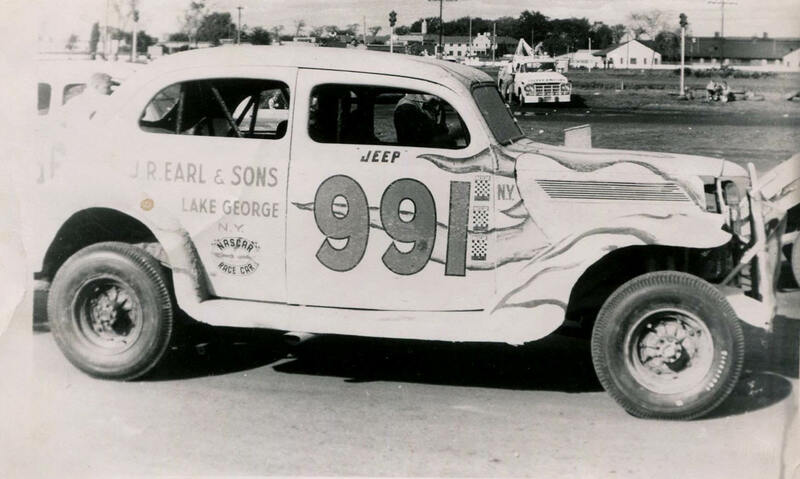 The Jeep nickname came from an exasperated employer, and his fame came from driving stock cars, which he started in at very early venues like the track in Perth, NY. 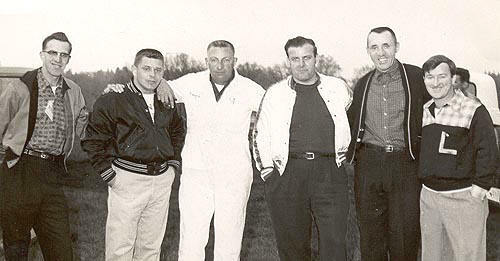 was to these post WWII guys. 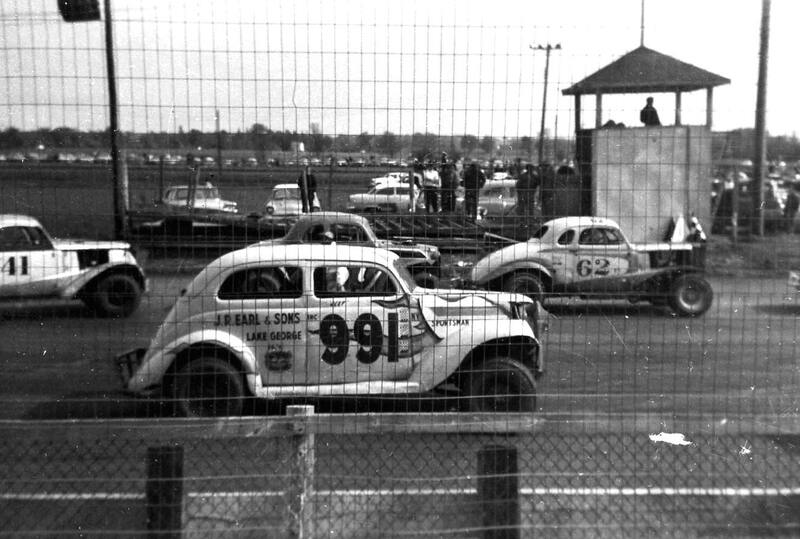 race track waiting for a race. Some of the boys around the 451 at Perth. 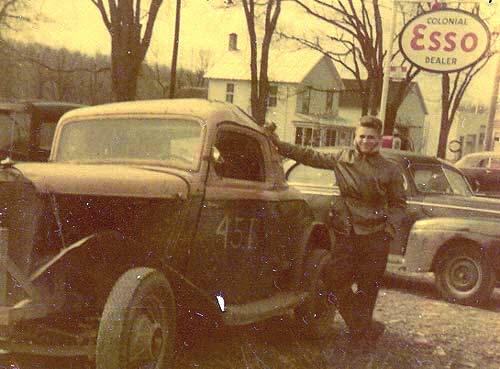 Jeep with that early #451, in rare early color. 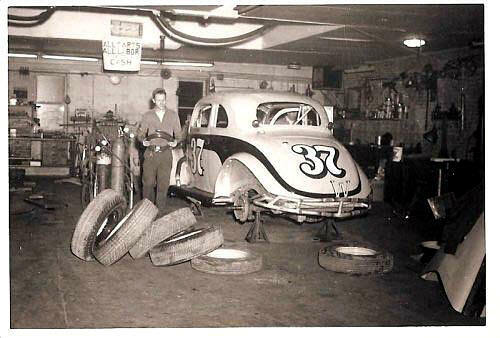 Jeep's first race car - at home. 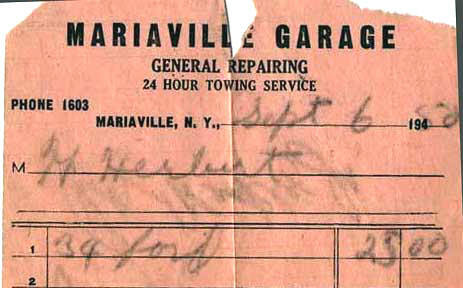 Jeep bought that car for a whole $25.00. 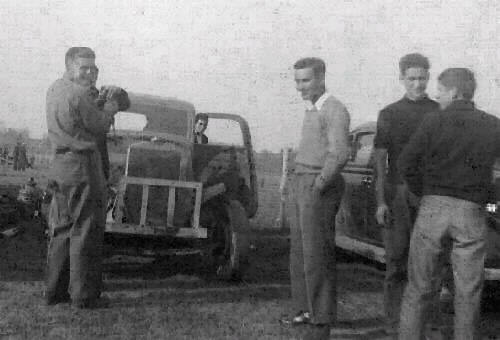 Jeep in the pits at Perth, around 1949. 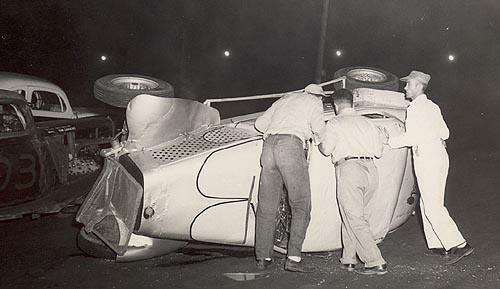 Checking out the car on the hook. 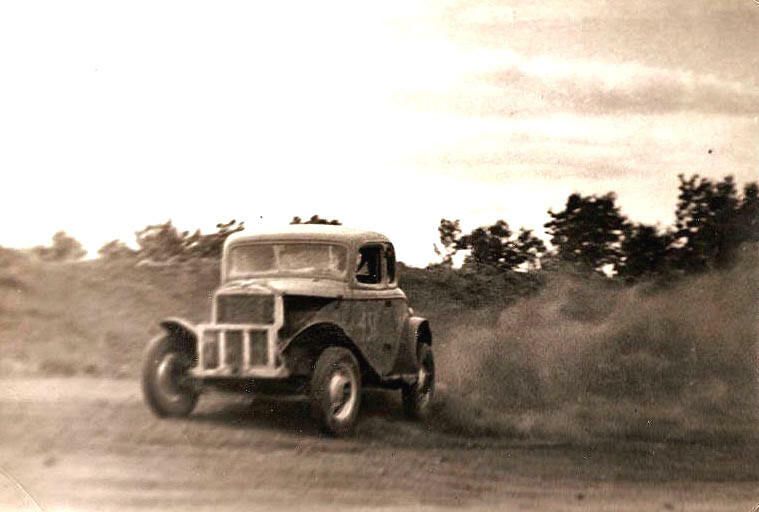 Jeep at speed, at Perth, around 1949. Jeep Herbert poses with the Bob Mott 3, which also brought Pete Corey to fame. 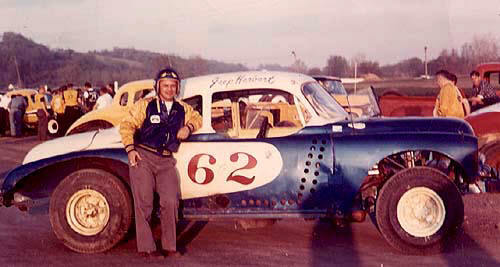 For those few races I got to see at Pico Raceway, in 1951 and 1952, one of the few names I could remember was that of Jeep Herbert. 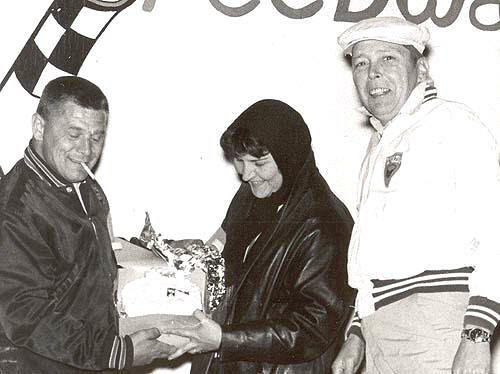 Howard Herbert, a diminutive and popular driver from Rotterdam, New York, was well into a successful career that would span almost two decades by the time he came into Vermont. 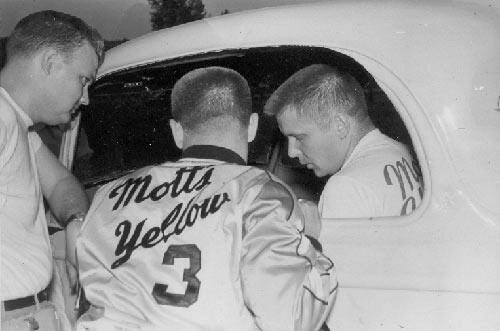 Herbert, most likely, was driving the yellow and silver Mott #3 at that time. 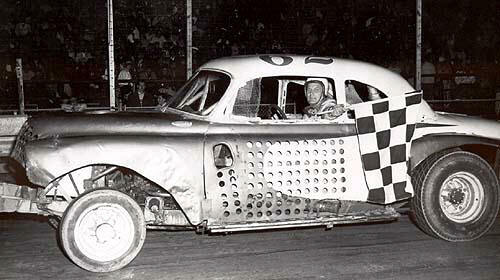 The Mott car was usually silver and yellow, although, when it was first out, it was a crudely - lettered plain yellow. 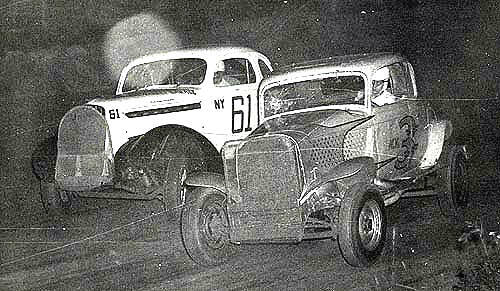 Jeep, in Mott's car, racing Jack Barney at Stateline. 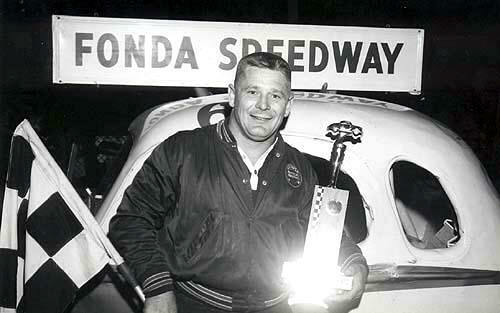 Howard Herbert, in his prime. in to help Jeep at some track. 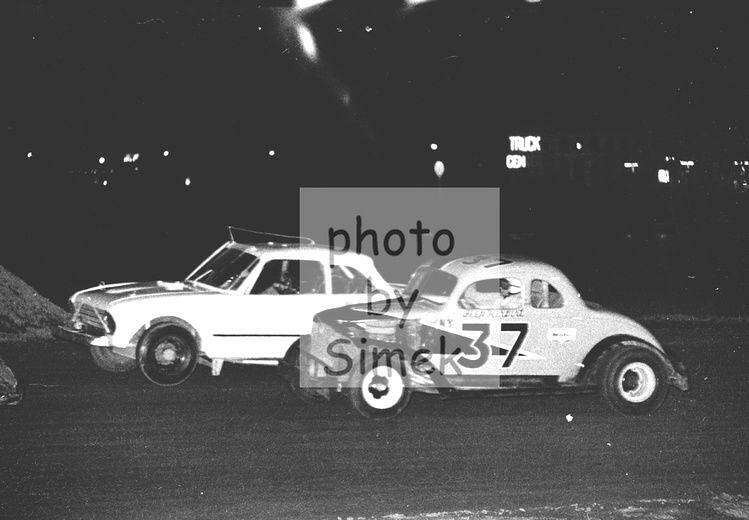 Jeep, in Mott's car, winning at Stateline. 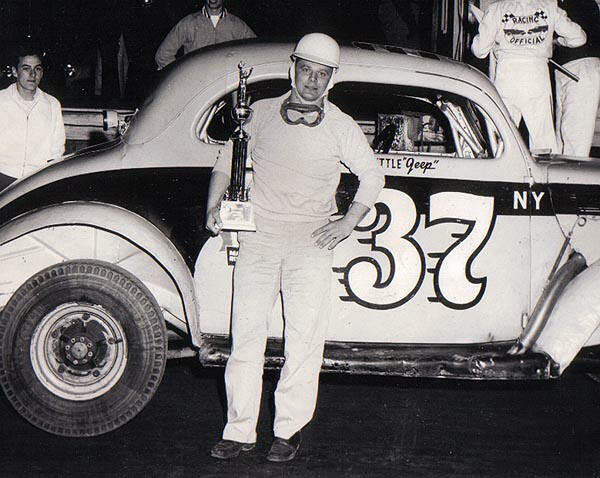 Bob Mott , himself - at Stateline. on the inside at Stateline. 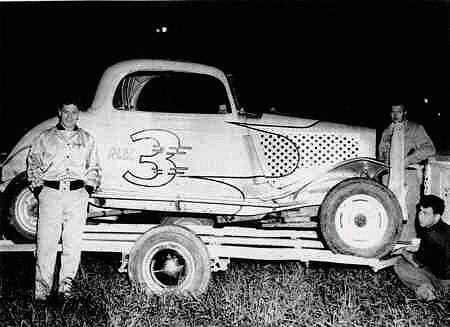 Early version of the 3 at Stateline. 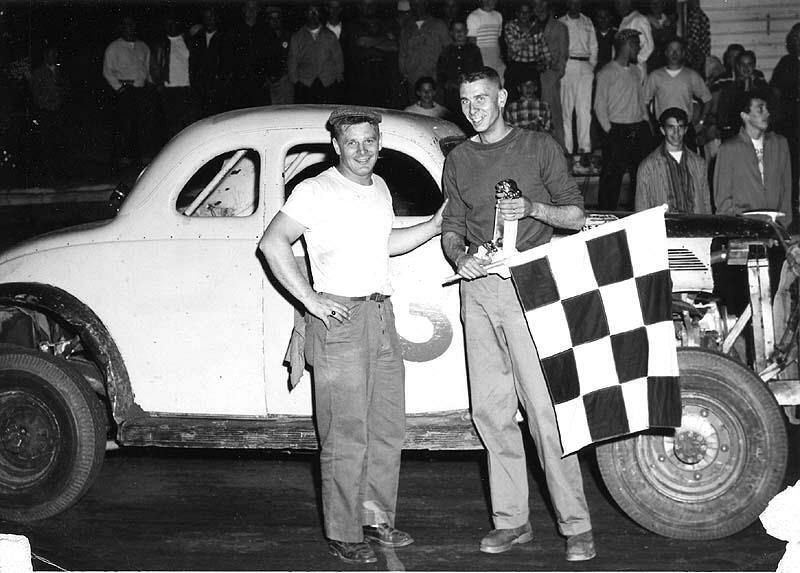 Another view of winning at Fonda. 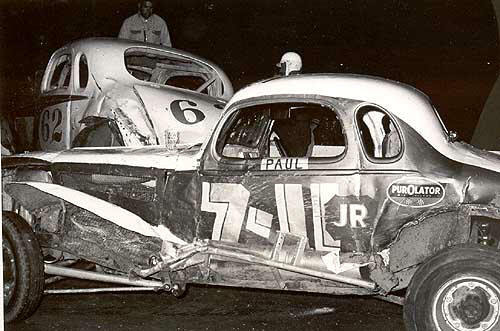 The Mott car was deadly at Fonda. 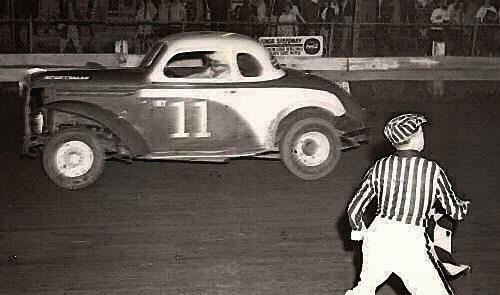 car at an unfamiliar track. 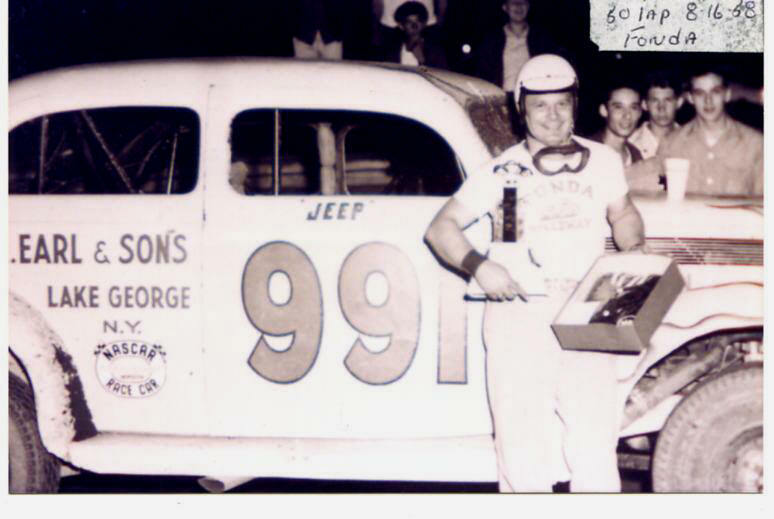 The popular Jeep with fans and the Mott car. 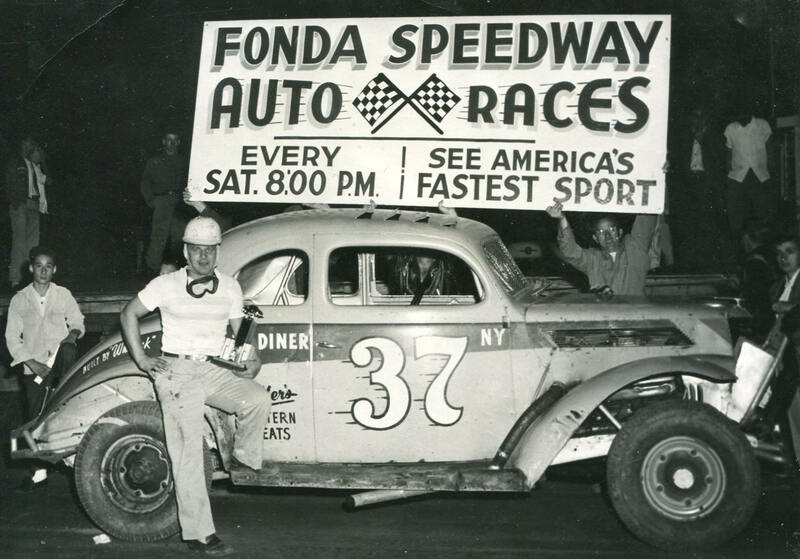 version of the Mott 3.
with an early Mott 3.
that ricketedy fence to protect Rte 67.
at Fonda in the '50's. 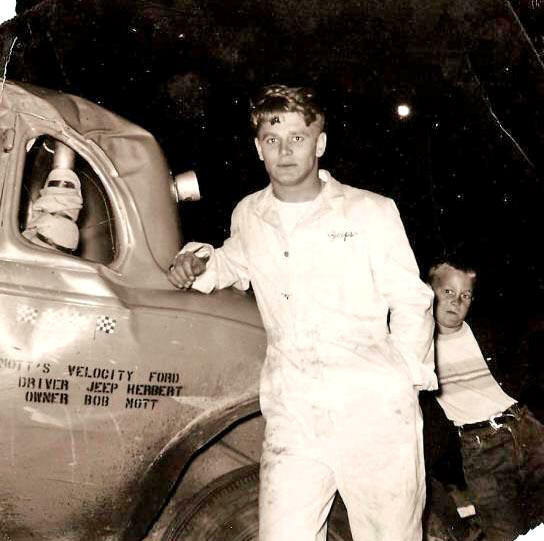 Howie Westervelt, and Jeep. 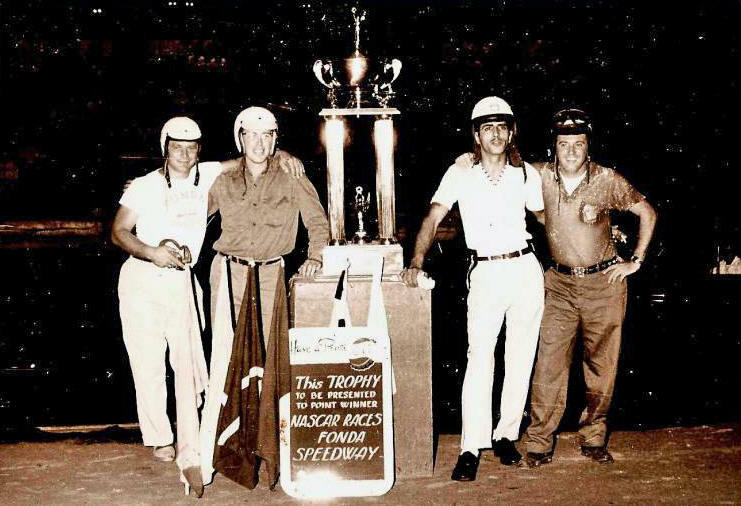 The only ones of this age group missing are Steve Danish and Jim Luke. 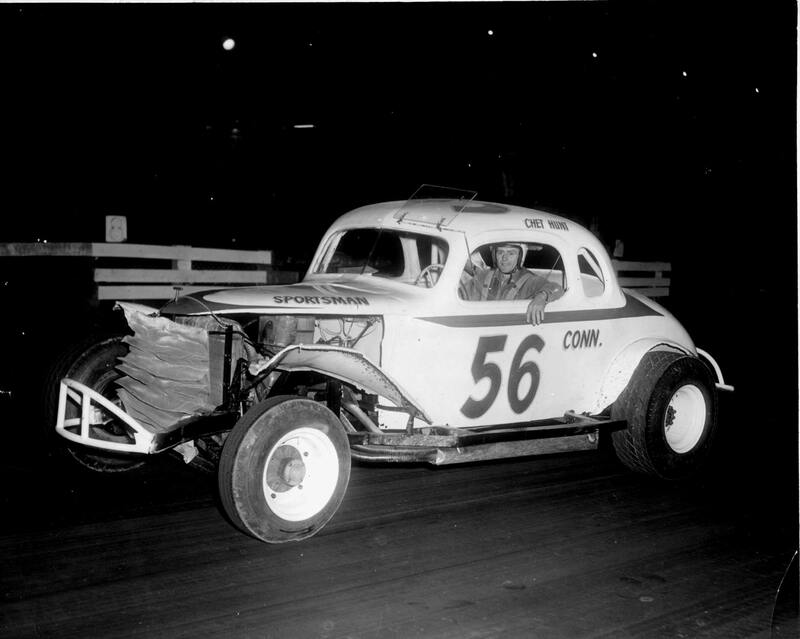 Pete Corey in an early roadster. 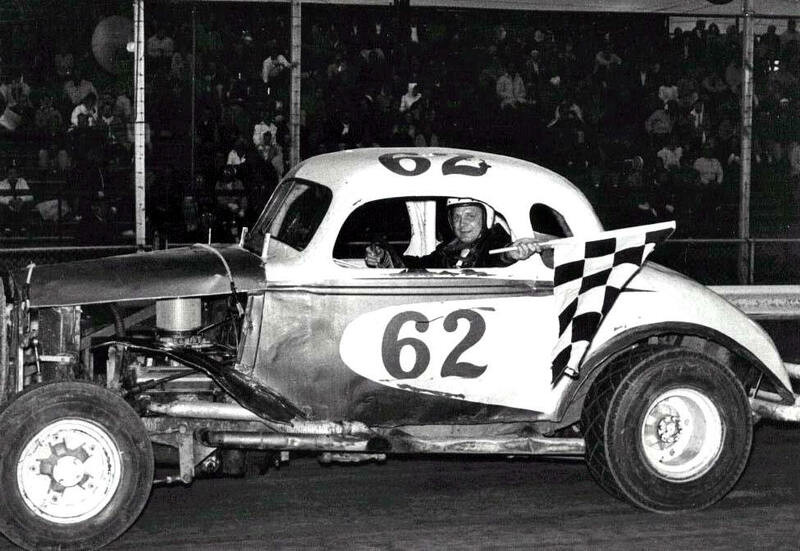 It is possible it is the Bob Whitbeck roadster that was actually raced. 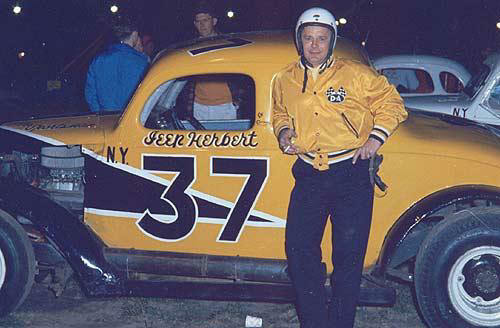 Another of Jeep Herbert's great rides was a mustard - colored mid 1930's coupe fielded by meat dealer Sam Kittler and diner operator Gibby Wolfe. 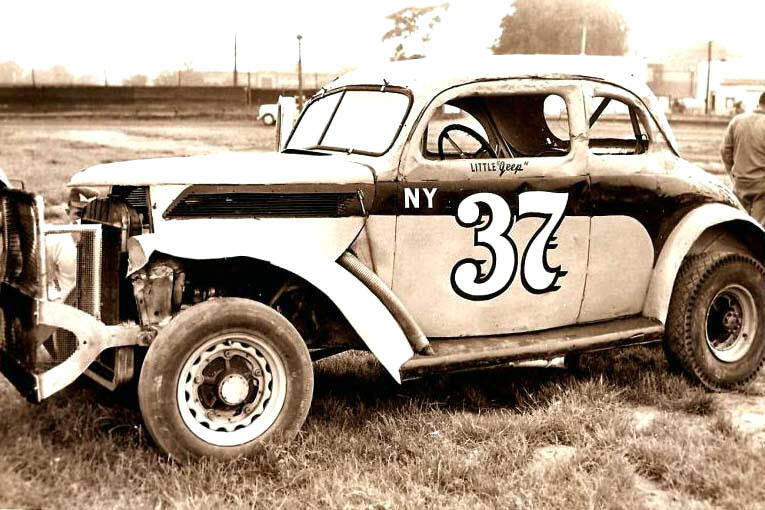 The 37 team, which would go on through owners Tony Villano, Sr. and others, would remain a part of the New York racing scene into the 1970's. 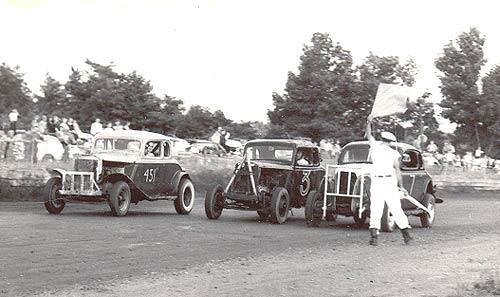 Jeep would drive it most notably at Stateline Speedway. 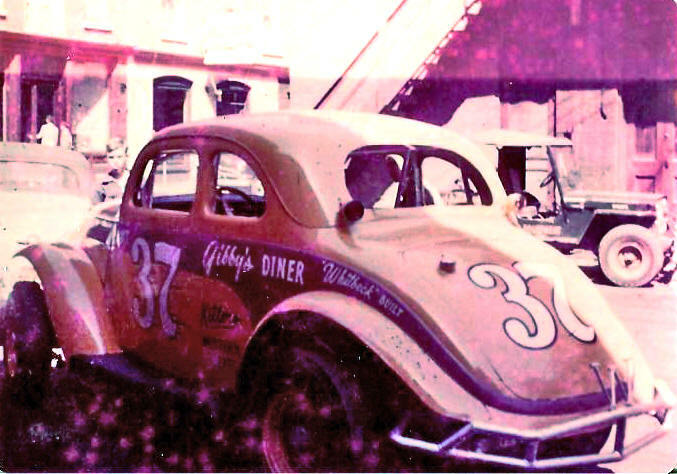 Jeep parks Kittler's car at Stateline. 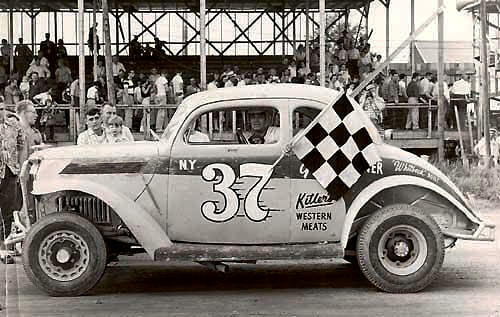 A Kittler win at Fonda. 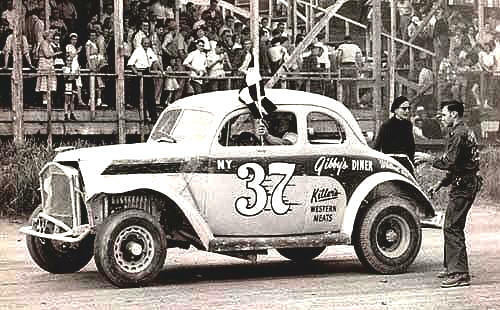 The Kittler car wins at Stateline. 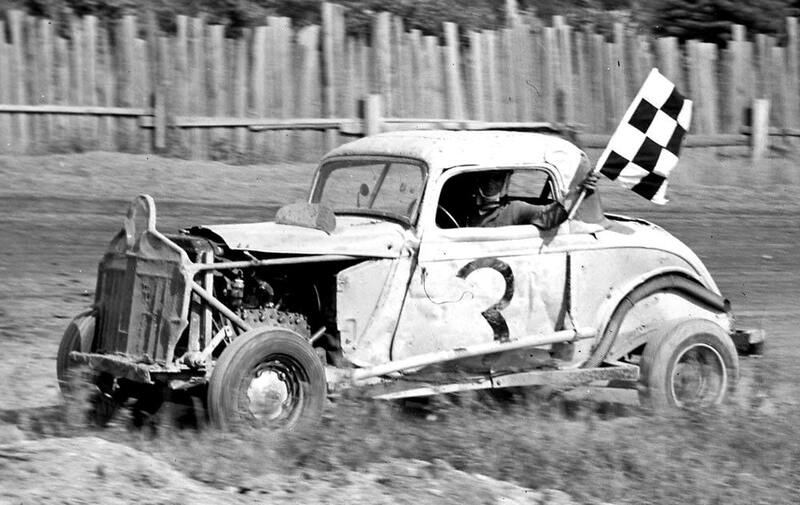 The Kittler car wins again at Stateline. 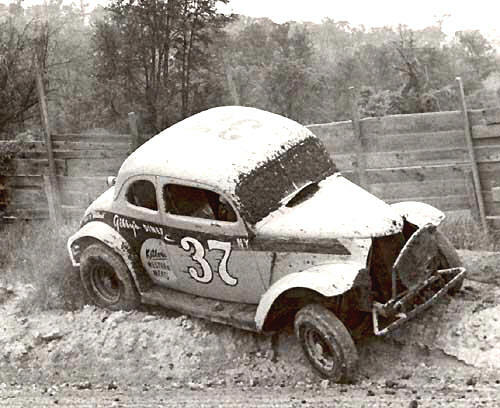 A rough spot in Fonda. 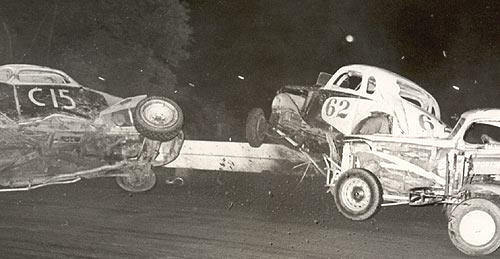 Over the wall at Fonda. 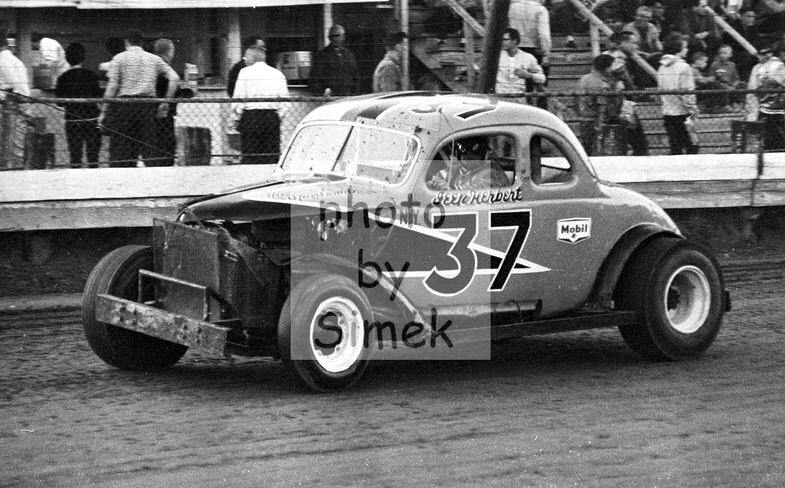 that year in the Vogel 95.
had it as #87 for a brief time. A perfect guy for kiddie rides. 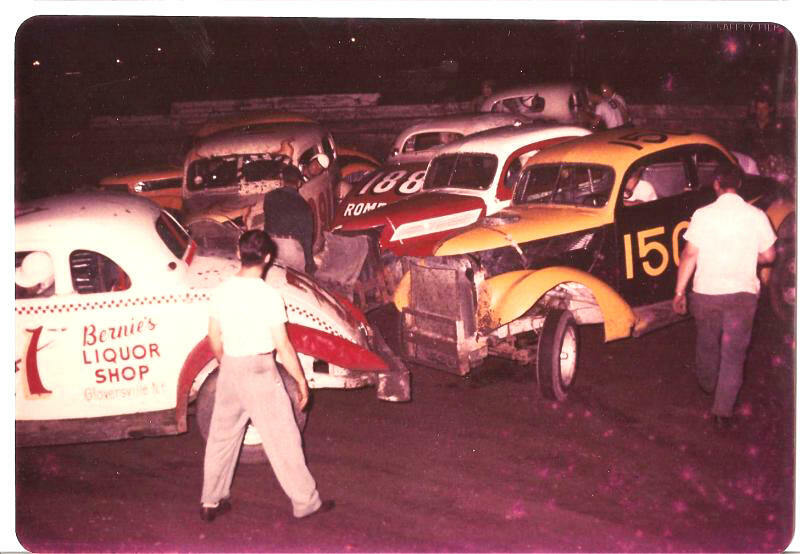 next to car 75 in the '50's. It wasn't all roses !. 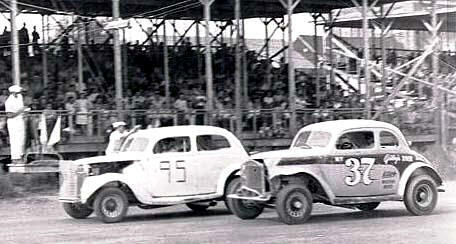 one shows the Kittler car; one shows the Henry Caputo Plymouth, and one shows Jeep winning. 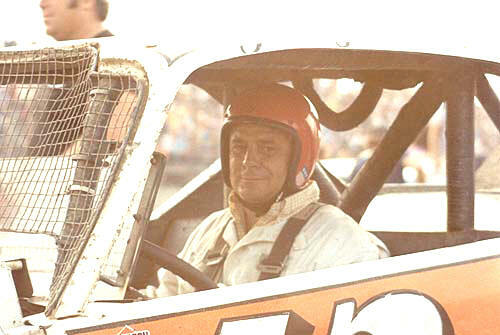 of Dave Lape in the 1980's. 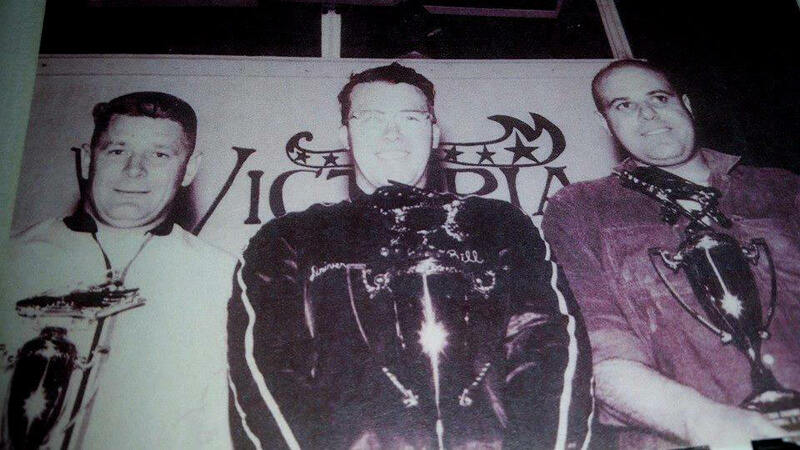 One of the guys at right is Whitbeck, a genius car builder. 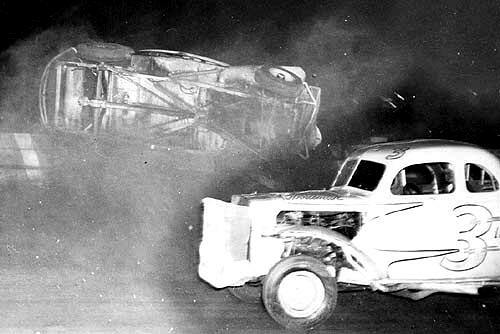 Controversial Henry Caputo, a salvage yard operator out of Hudson Falls, would employ a number of top shelf drivers such as Earl Maille, Ken Shoemaker, Tiger Tom Kotary, and George Baumgardner. 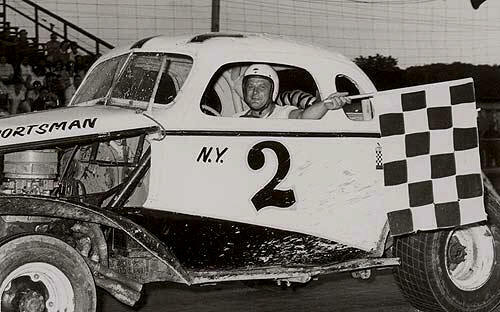 Jeep was also one of these Caputo house drivers. 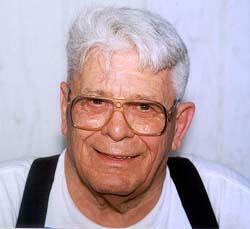 Caputo could be a bear to drive for and only Shoemaker survived the entire life span of the Caputo onwership. 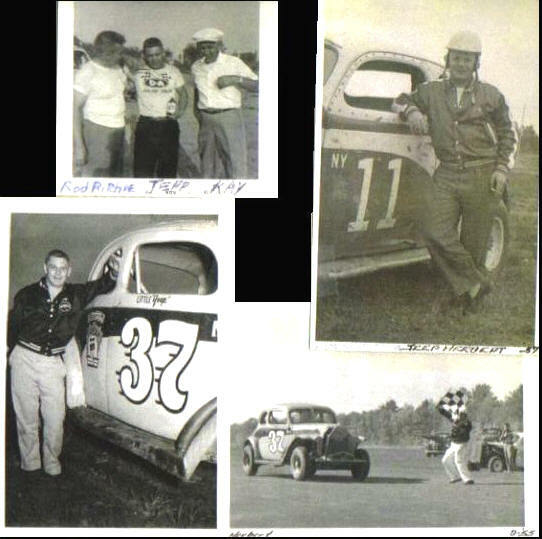 Jeep drove both Caputo's Plymouth [he loved Mopar] and the early Chevy coupe. 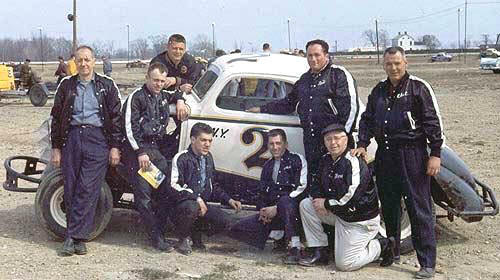 The best car the team ever fielded ended up only with Shoemaker. 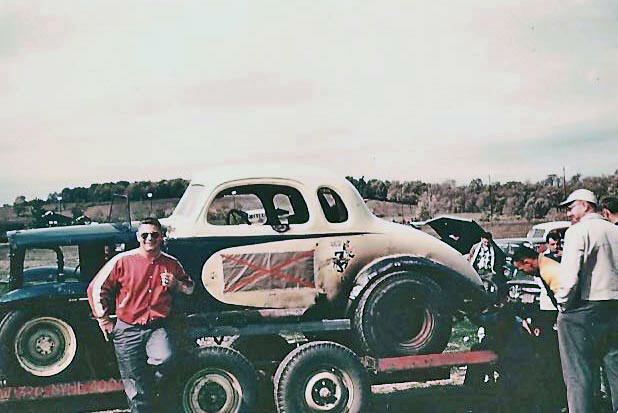 Jeep returned, in a way, to a prvevious racing team when he signed on to drive the backup car for Glens Falls septic system contractor Chris Drellos. 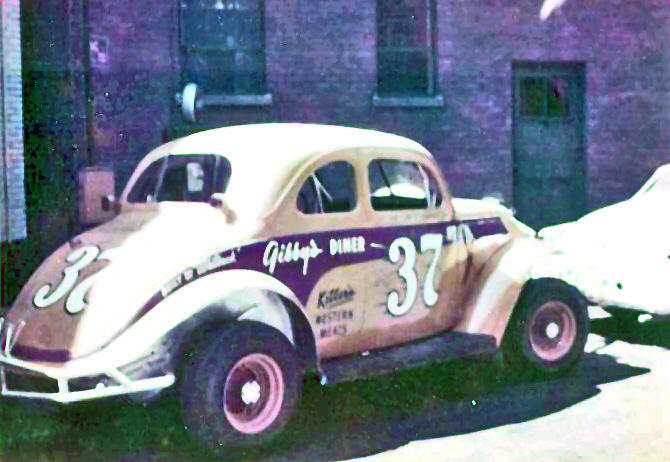 Drellos had bought out the Henry Caputo team, retaining the unique red and white color scheme and keeping the potent 1936 Chevy coupe along with its driver, Ken Shoemaker. 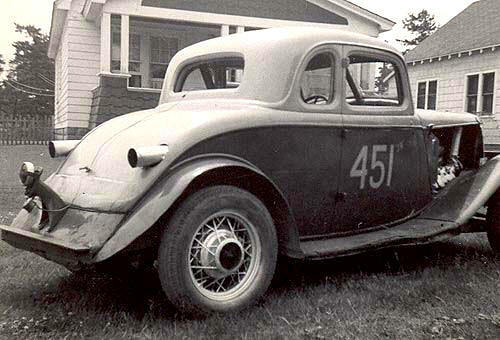 The Drellos group then put together a Chevy three window coupe, numbered it 111A, and hired on Jeep to drive it. 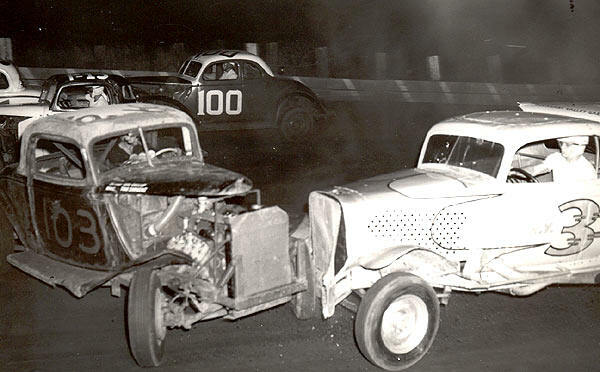 The car usually broke during the heats and Jeep seldom got far with it. 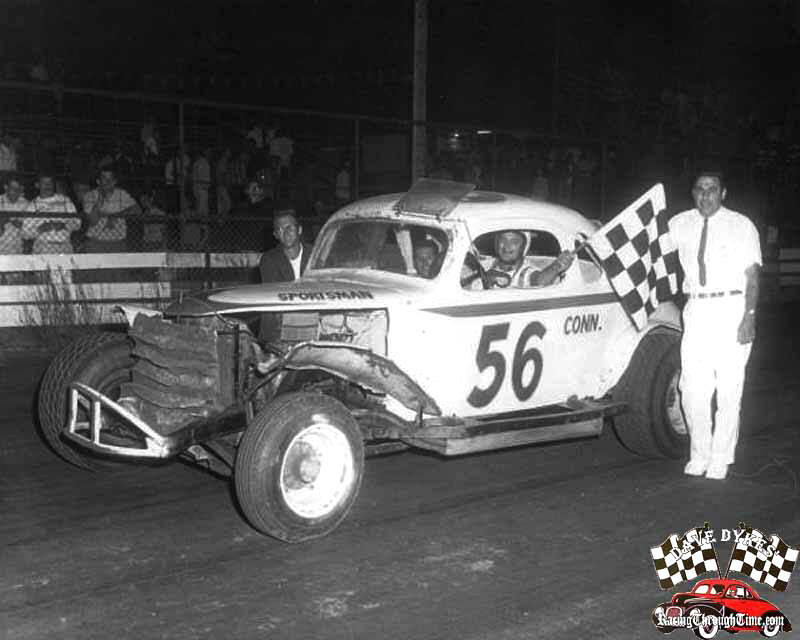 The next year, the team built a much better car but handed it over to Pete Corey. 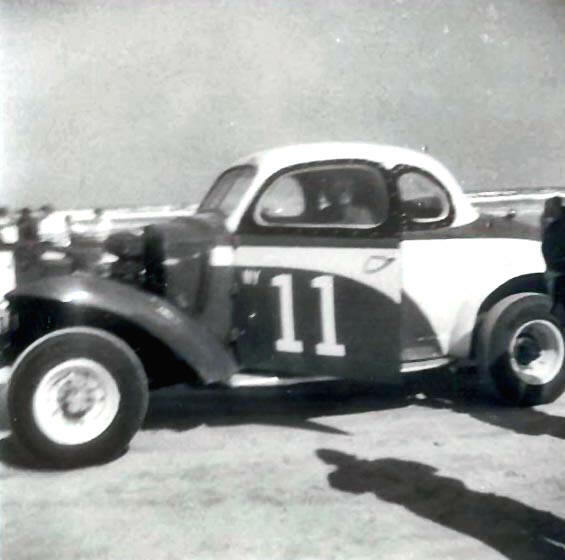 Jeep and the Caputo 11 at Daytona. 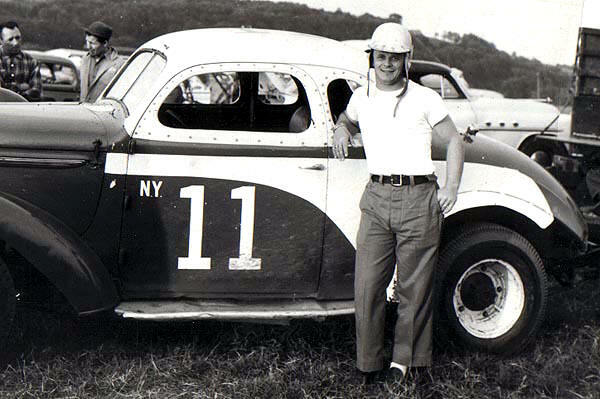 Jeep and the Caputo 11. JR Earl ride is right next door. ?? and one was a modified. 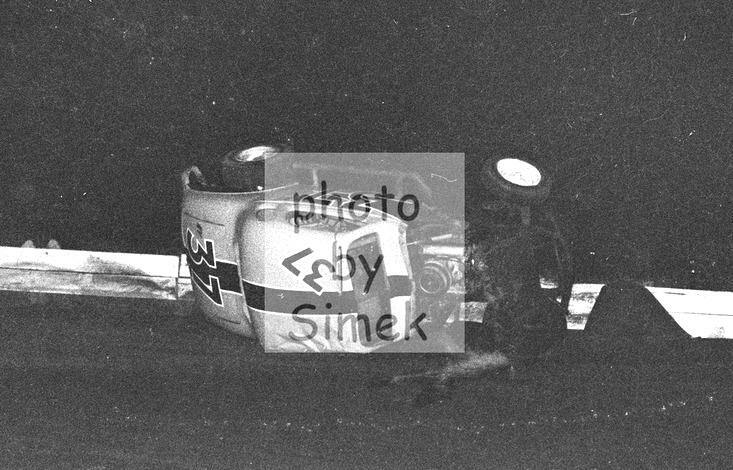 by the Pete Corey accident. 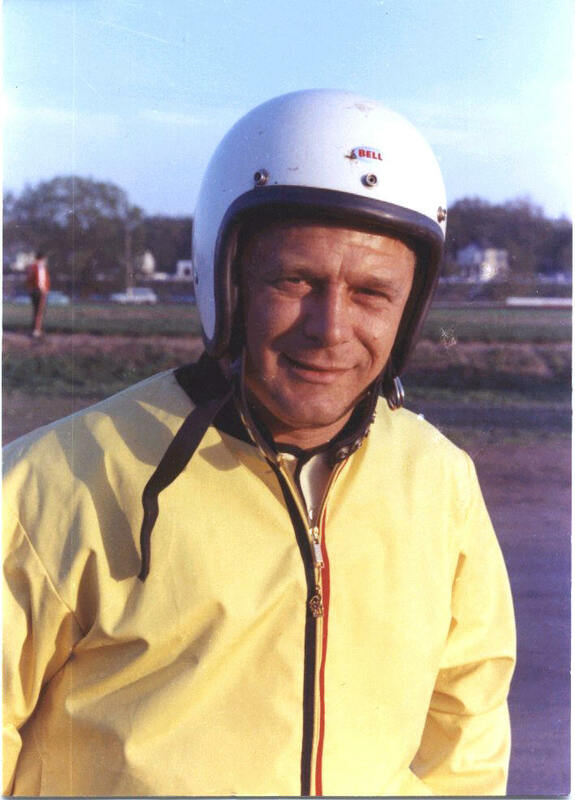 toward the official is Henry Caputo. 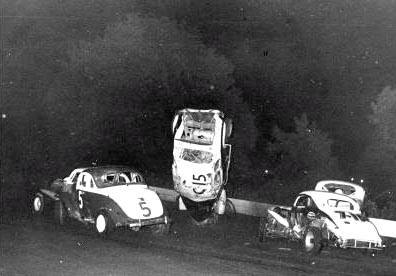 were all the rage in the late '50's. 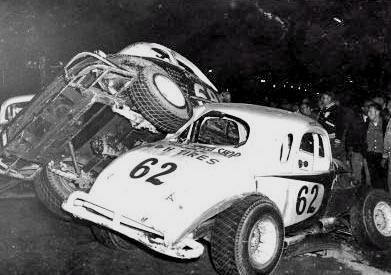 at Fonda said "Jeep's folded again !" 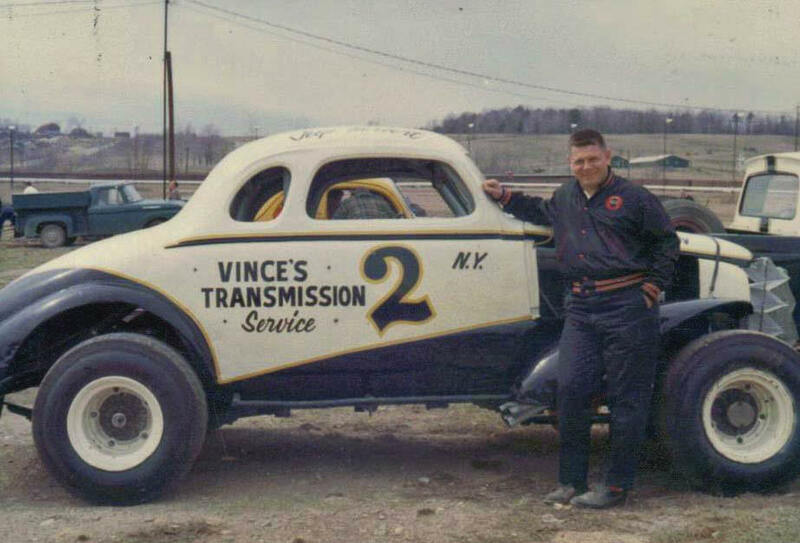 Drellos backup car that year..
A Frank Simek portrait of Jeep. The long and short of it. 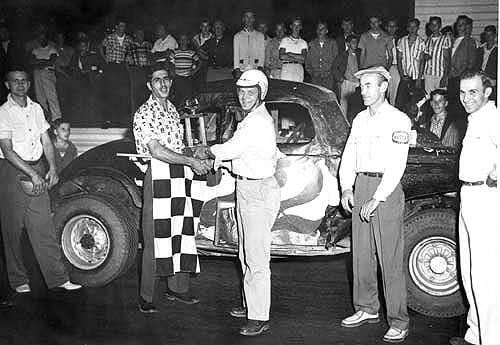 Jeep awards Jimmy Luke, with the Hal Kempeny 113.
might have ended up with A.C. Caprara. 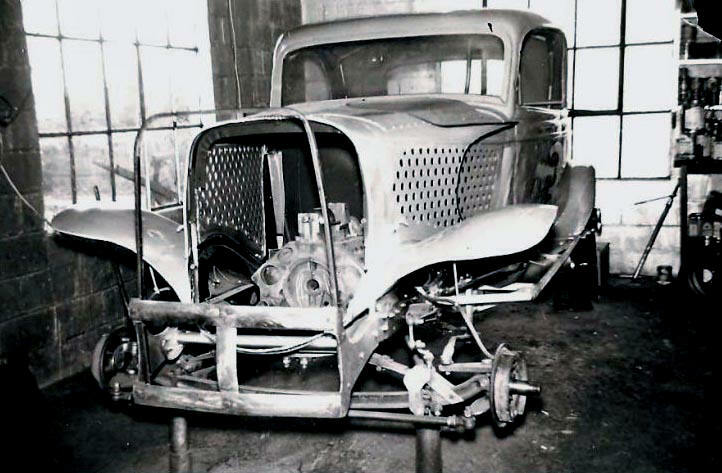 According to Lew Boyd, it never worked very well. 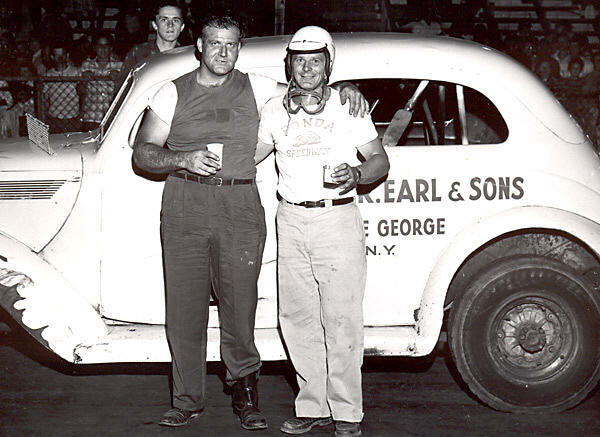 Lake George auto dealer J. R. Earl got the stock car ownership bug in the late 1950's. 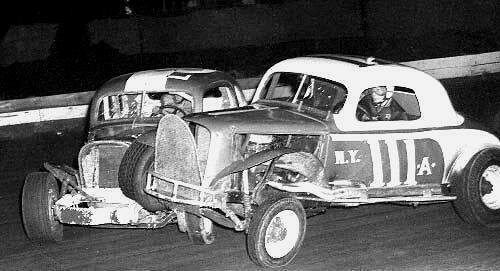 He fielded only flatback Ford sedans. 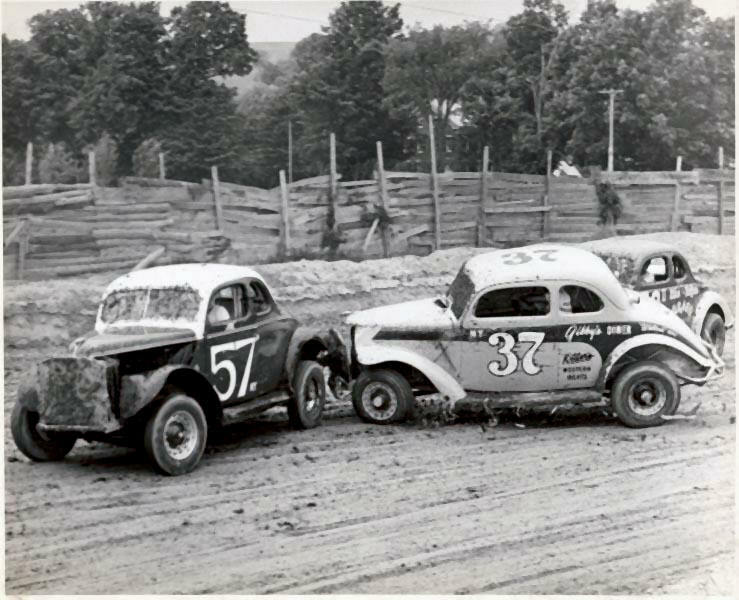 One was reportedly built for Earl and one is rumored to be a former Ted Vogel car. Jeep had some good rides in the Earl #991 and the #1. 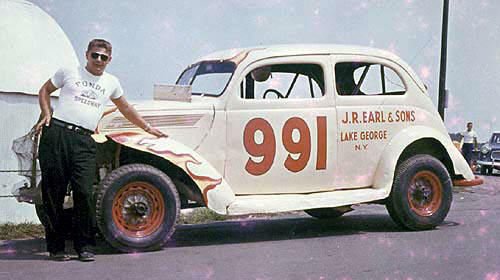 The J.R. Earl car in rare color. 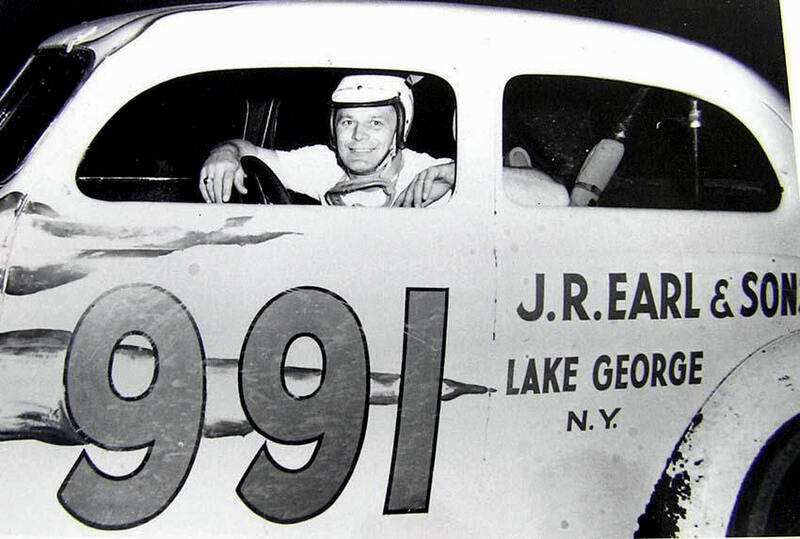 Jeep at Monroe County with Earl's 991.
members of the Earl crew. 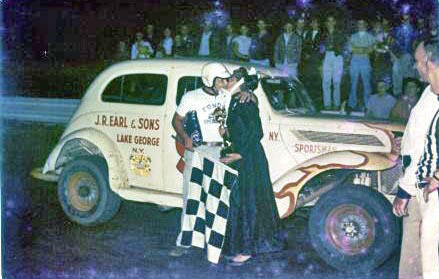 and maybe Corey in the 37.
as trophy girl that night. 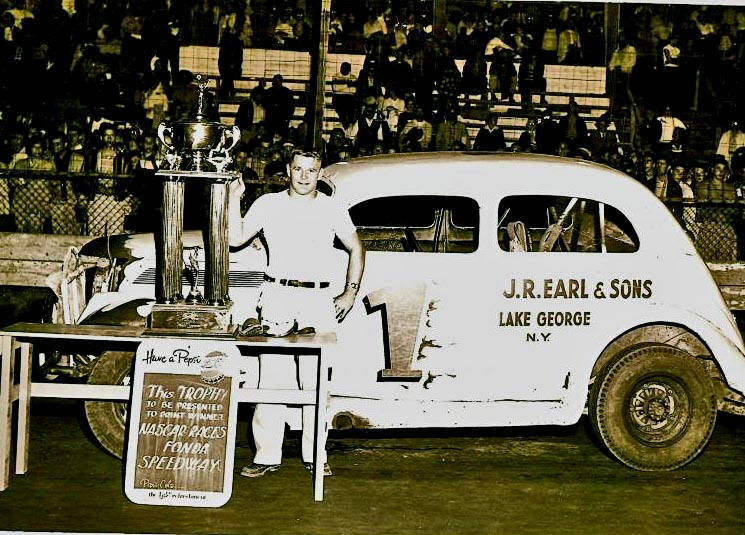 J. R. Earl #1 - at Stafford. 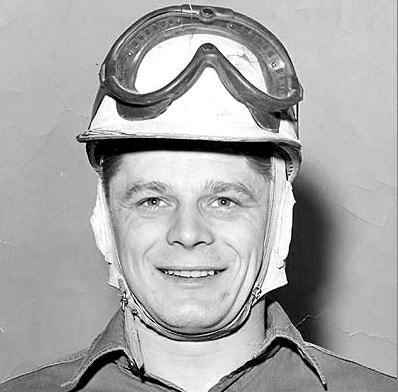 Little Howard Herbert, earlier in his career. 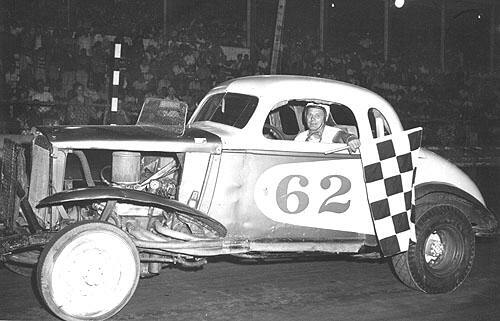 Speedway in the Trinkhaus 62. 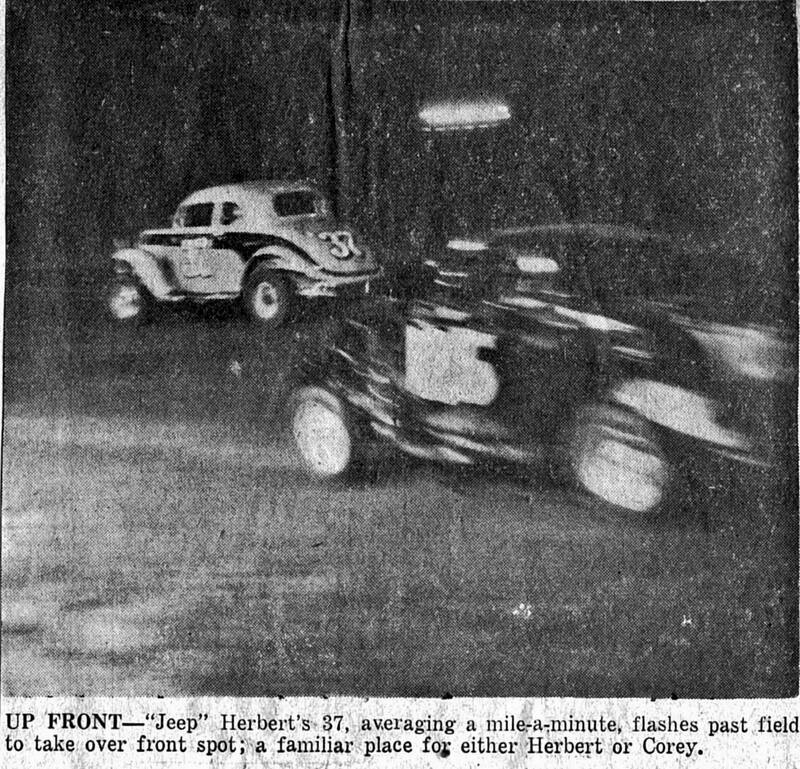 Caprara had taken over #37. 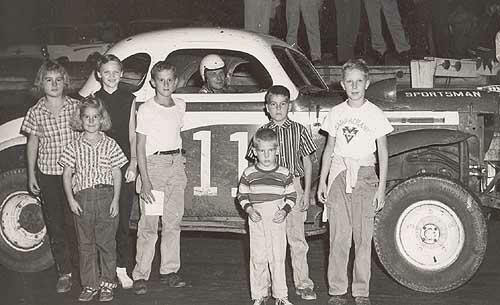 Jeep , with some adoring fans. Those glasses are right back in style now. 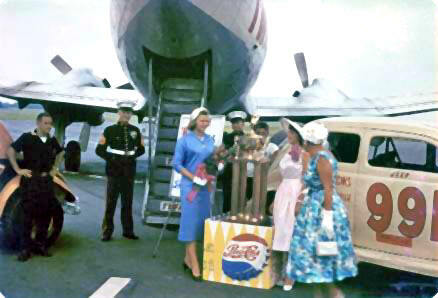 An earlier 1950's banquet shot. 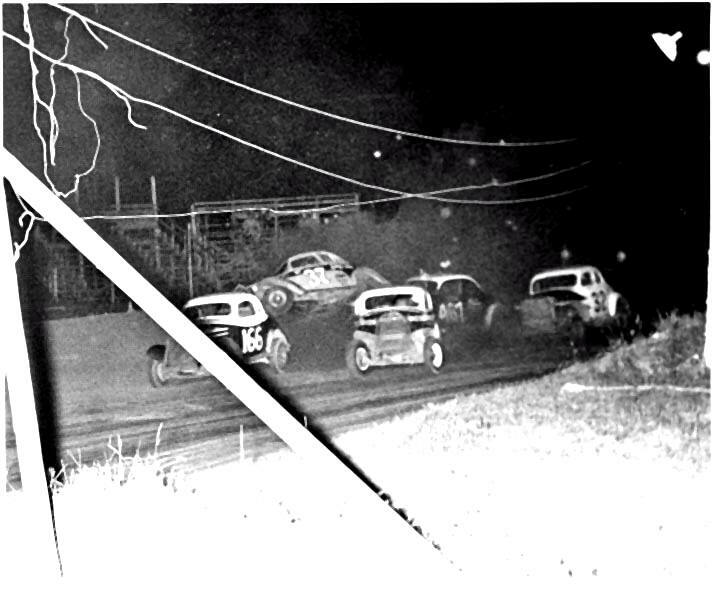 I only recognize Jeep, Bob Mott, Shhoe, and maybe Robbie Kotary. Where was Danish ? 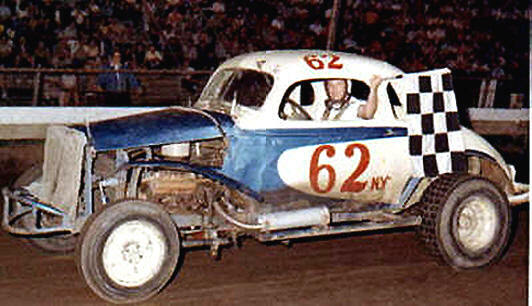 Coming out of the unlikely - sounding burg of Fly Creek, NY, New York, Frank Trinkhaus was briefly his own driver before going on to set some sort of record for the number of wonderful drivers under whom he would place good stock cars - always under the number 62NY. 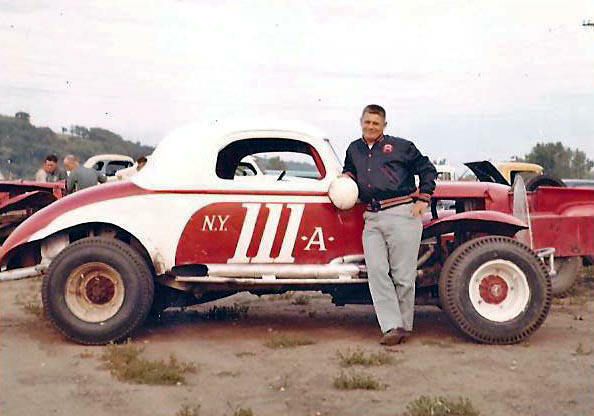 Starting with guys like Lee Armstrong and Joe Ciganenko, and George Gallup, the Trinkhaus era would include Jeep [several times] as well as Paul Marshall, Irv Taylor, Lee Millington, Lou Smith and more. 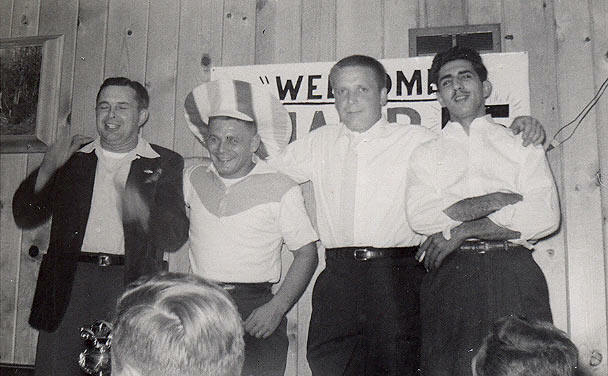 There were also cameo appearances by such as Steve Danish and Pete Corey. Jeep was a Trinkhaus favorite. to drive for, Frank Trinkhaus. 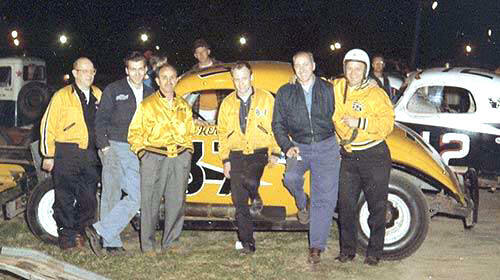 Jeep, with a gathering including George Gallup [to his left], Frank Trinkhaus, Paul Marshall, Joe CIganenkn, and a UNK man. 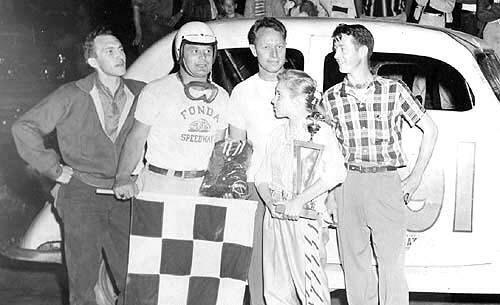 A win in the Frank Trinkhaus 62 at Fonda in the early '60's. 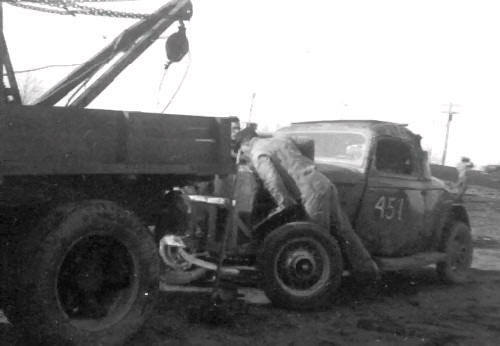 Jeep, with the heavier Trinkhaus '50 Chevy coupe. 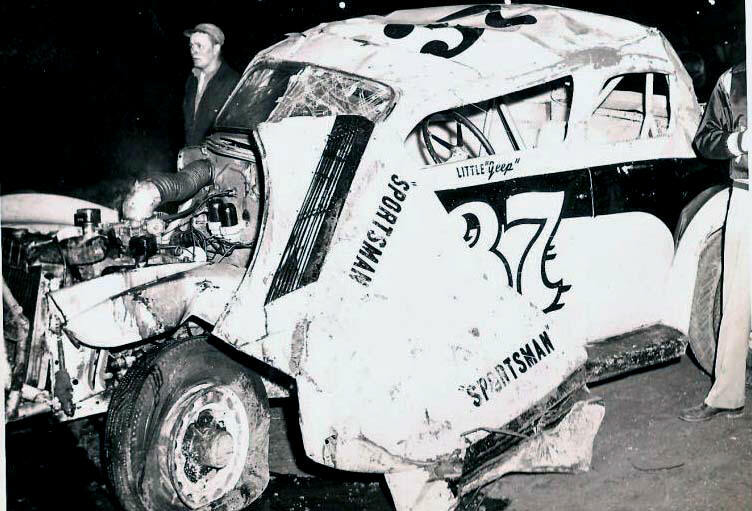 Despite the bigger engine, the car was a bust. 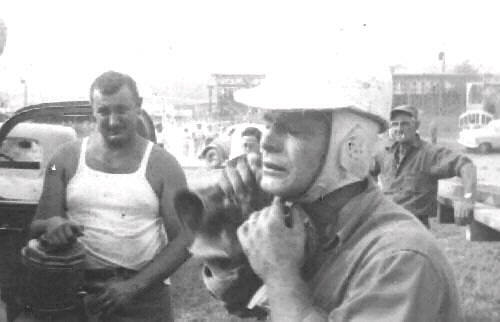 before the races at Fonda. 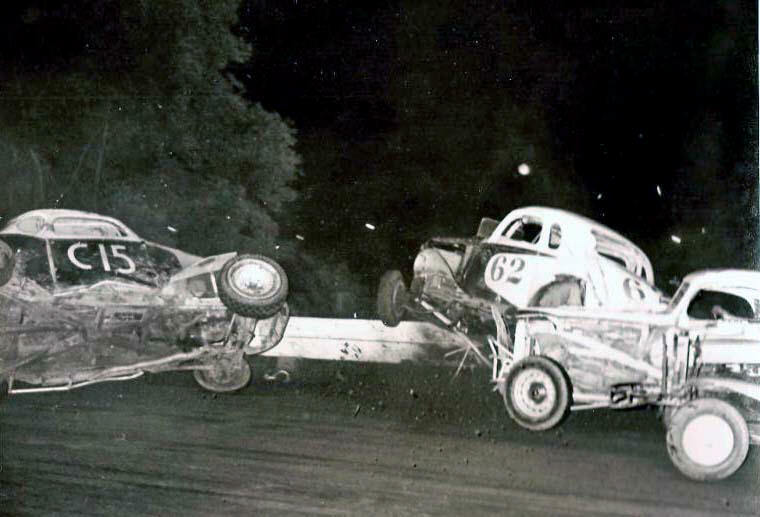 to hold off Shoemaker at Victoria to no avail. 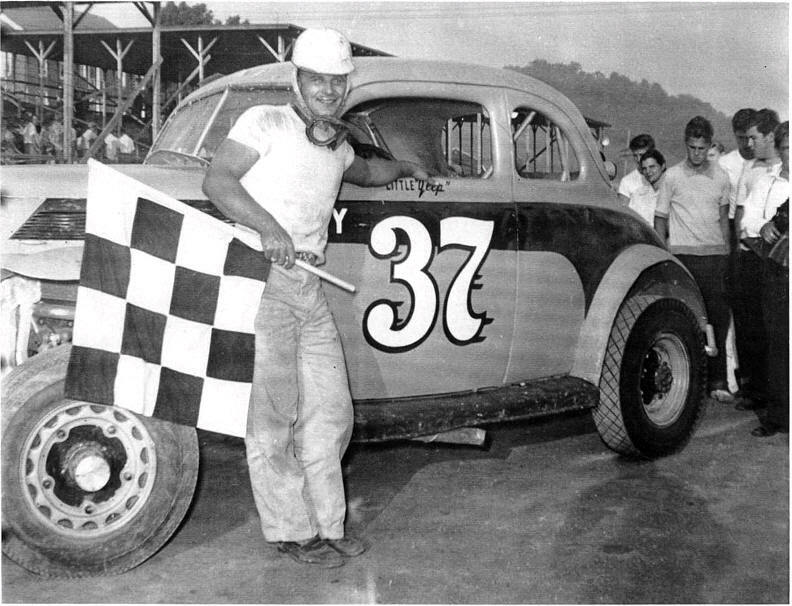 Jeep, with another Trinkhaus win at Fonda. The Beast - inside view. Some success with the Beast. used one of his famous punny pseudonyms. 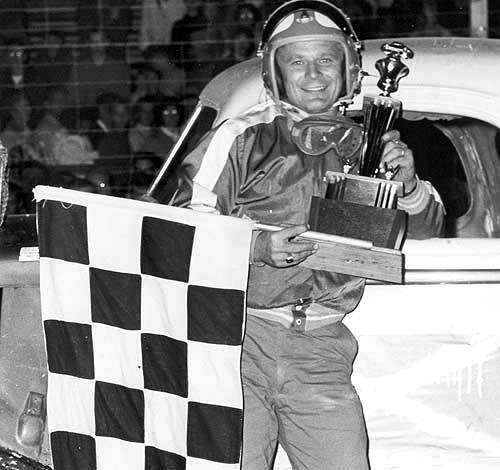 Jeep wins another at Fonda. An earlier Fonda stint with Trinkhaus. 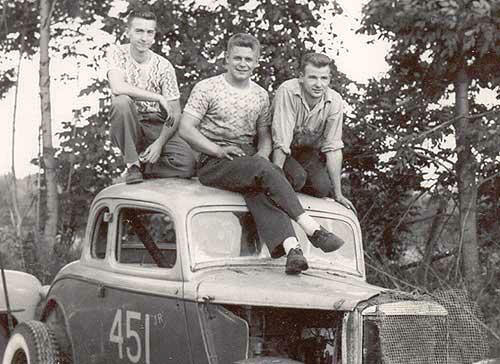 Jeep, with Frank Trinkhaus [ctr]. 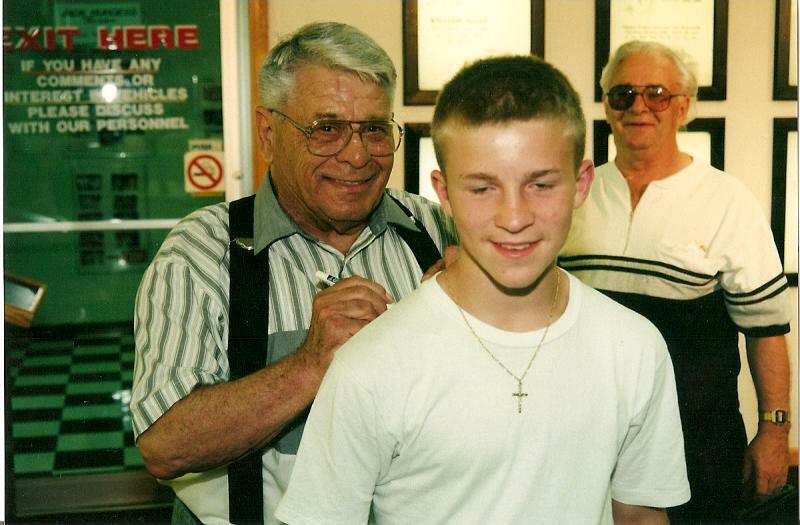 a mix-up with Paul Marshall's 7-11 Jr.
Below - How it all began. Headed even further over the barrier. The guy in C15 is getting it worse. My favorite shot of Jeep. 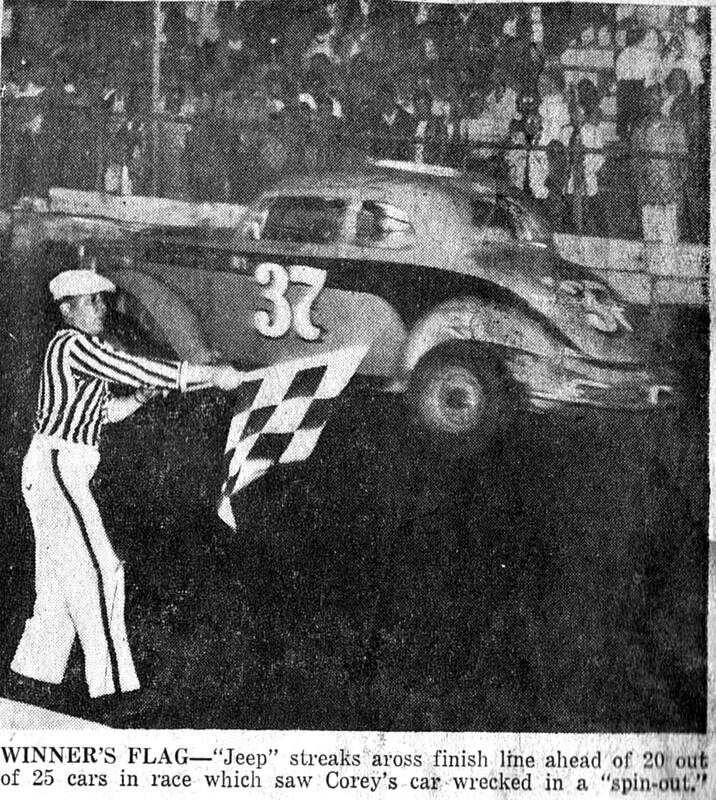 The long-legged flagman, Chet Hames, towers over Jeep and Dee Herbert. 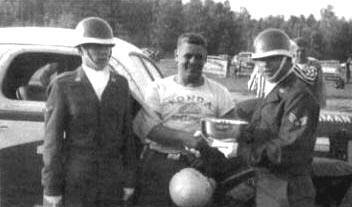 Jeep, with Wimble, Corey, and Shoemaker - back when trophies were awarded according to importance. 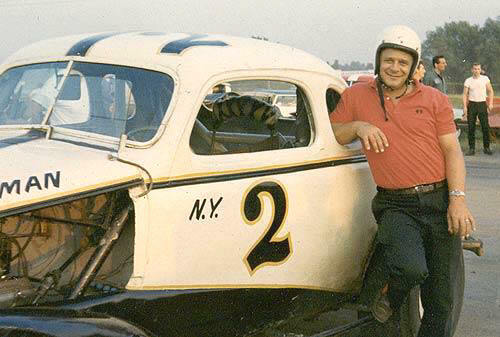 Another man who used a number of hired drivers was Schenectady's Richard Welch. 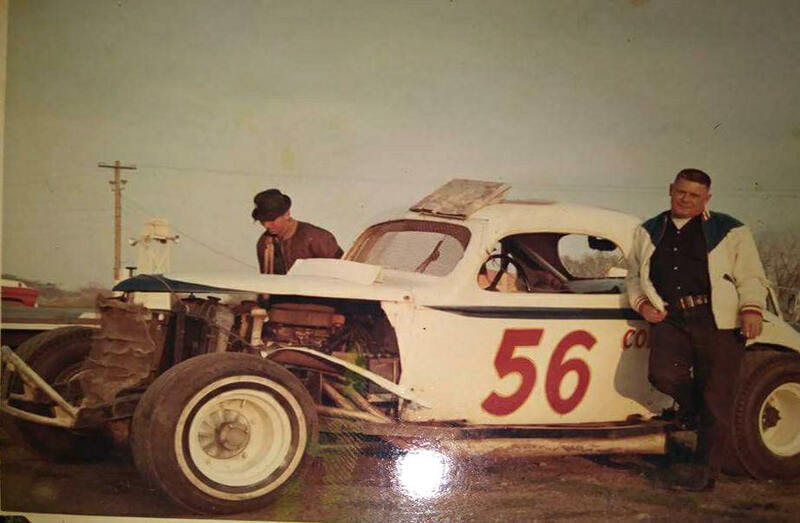 Having bought the potent 77 coupe from Rollie Johnson, Welch field that and perhaps one other car for several seasons in that late '50's and early '60's. 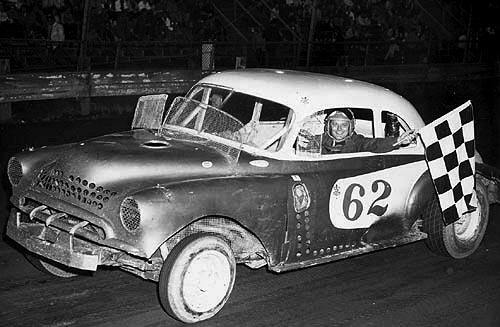 It was one of most favorite cars. Jeep drove it at Fonda, Victoria, and Stafford Springs. 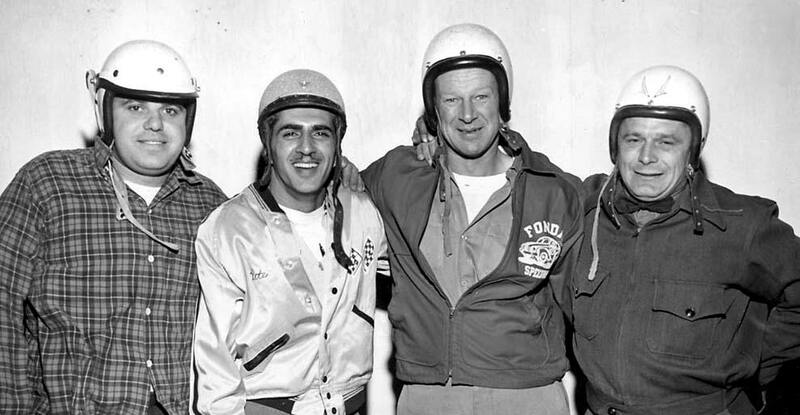 Other drivers included Irv Taylor, Eddie Pieniazek, George Baumgardner, and others. 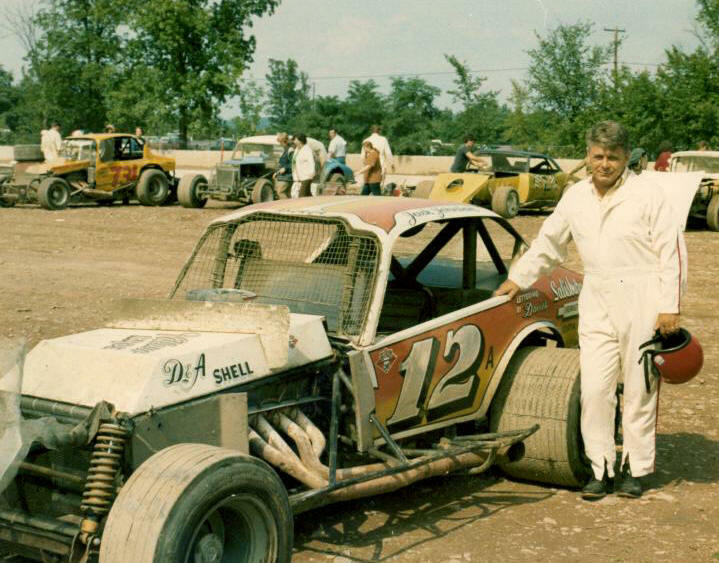 Jeep, with the red 77, at Stafford. 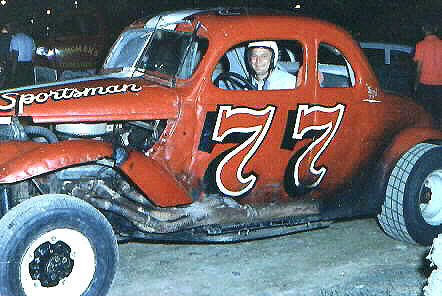 1950 Chevy version of the 77. 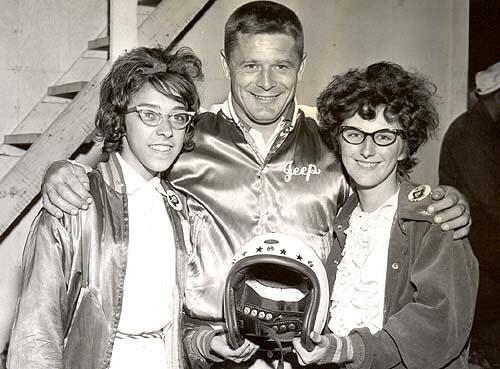 Jeep, in the 1960's at Victoria with Wimble and Lazzaro. 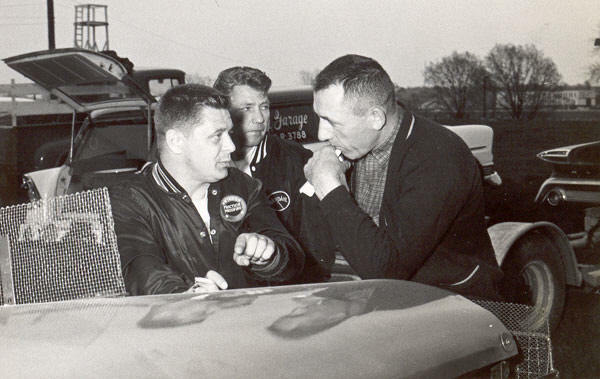 Jeep giving pointers to his promoter's son. 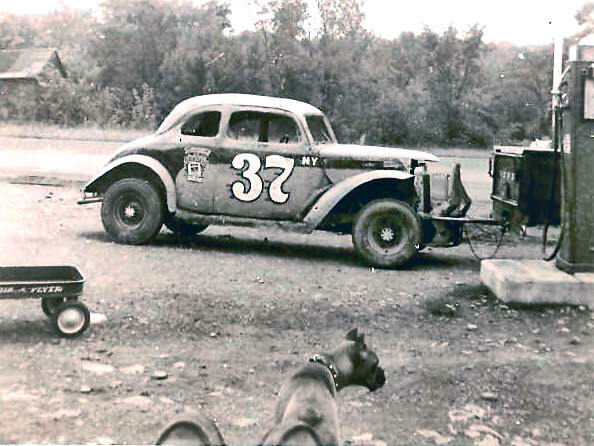 The car number 37, while having humble beginnings, became legendary in Fonda lore. 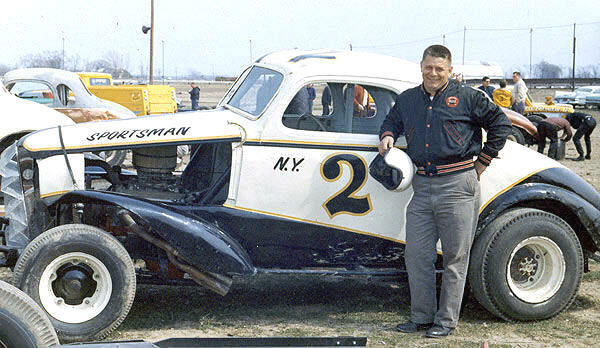 The car number was first used by Bob Whitbeck for driver Pete Corfey; but Whitbeck soon dumped the number and the car, switching over to #22. The next 37 was fielded by meat dealer Sam Kittler and diner operator Gibby Wolfe. 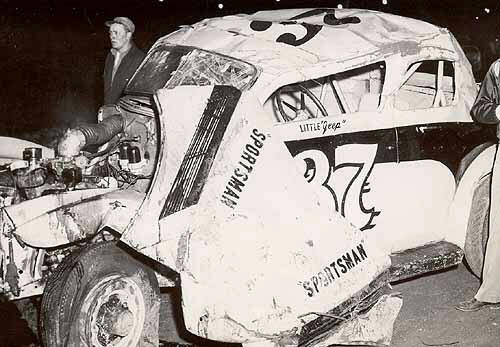 The 37 team, which would go on through owners Tony Villano, Sr. and others, would remain a part of the New York racing scene in the 1970's. 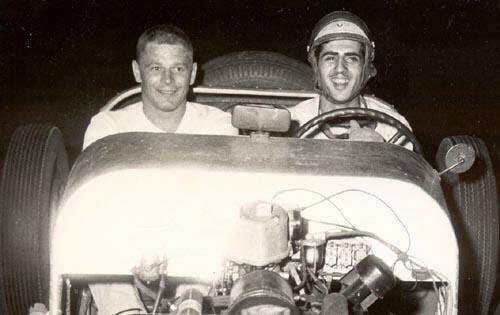 Jeep would drive for Villano after the team had seen such greats as Pete Corey and a young Jack Johnson at the wheel of their cars. 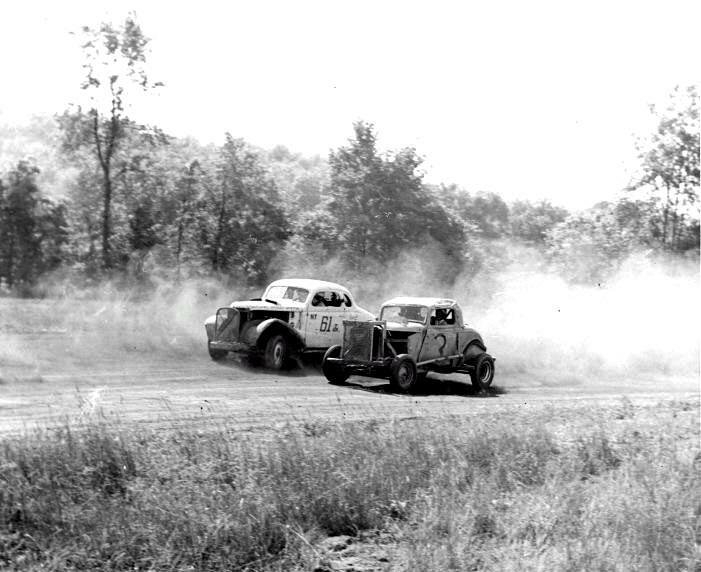 Jeep would have measured success in an atmosphere where race technology was beginning to elevate. 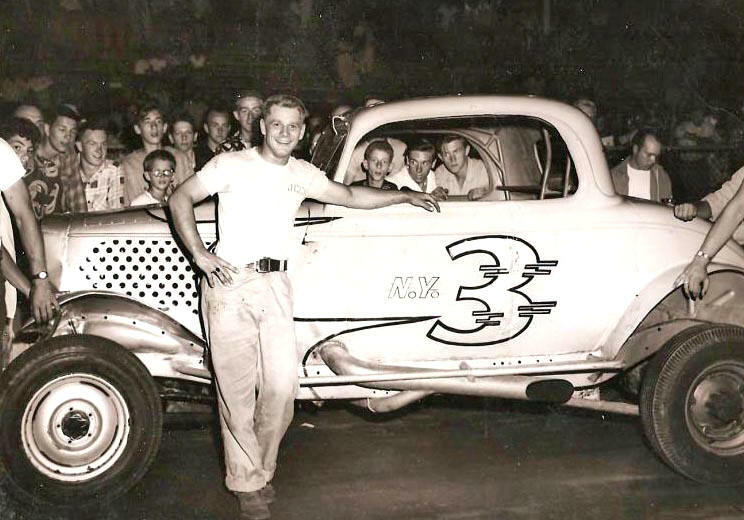 working at the time he drove for them . Tony V has his hands in his pockets. 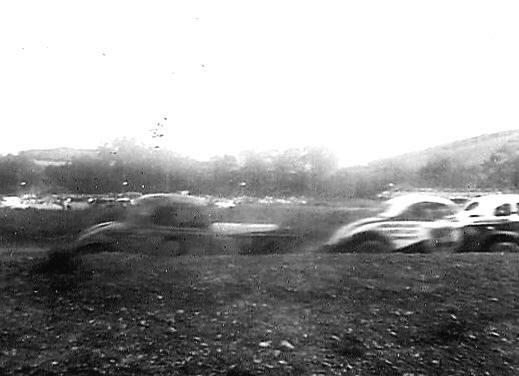 A blurry shot of Jeep's 37 in the Fonda infield. 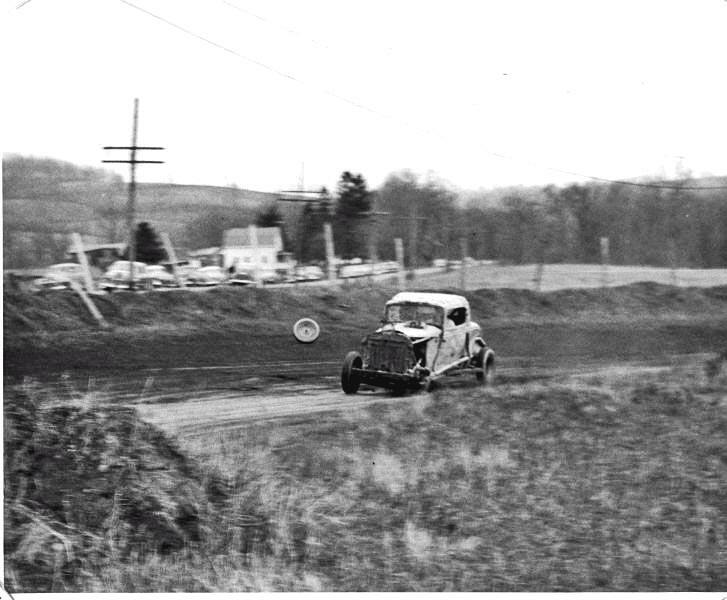 Jeep at speed with the Villano '37 Ford. 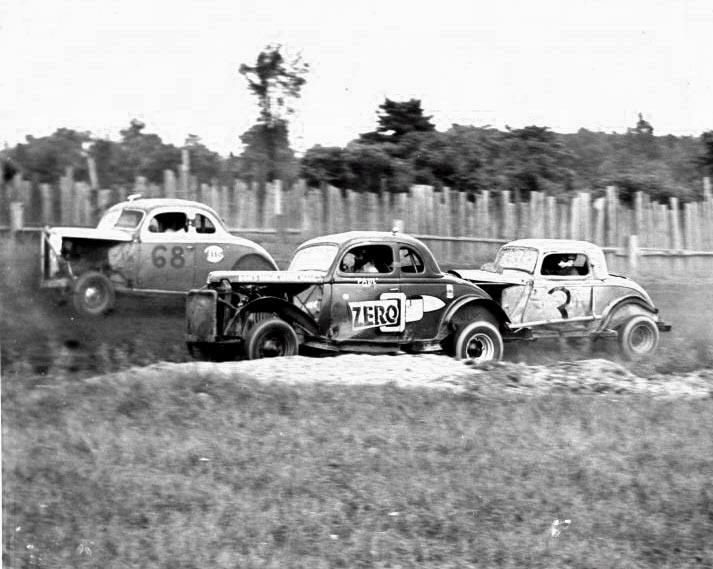 Jeep dumping the Villano '37 Ford. 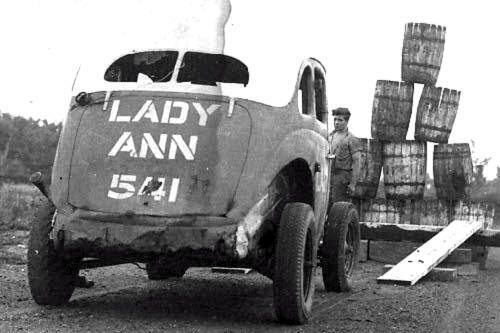 Jeep, at Syracuse with Dolores. 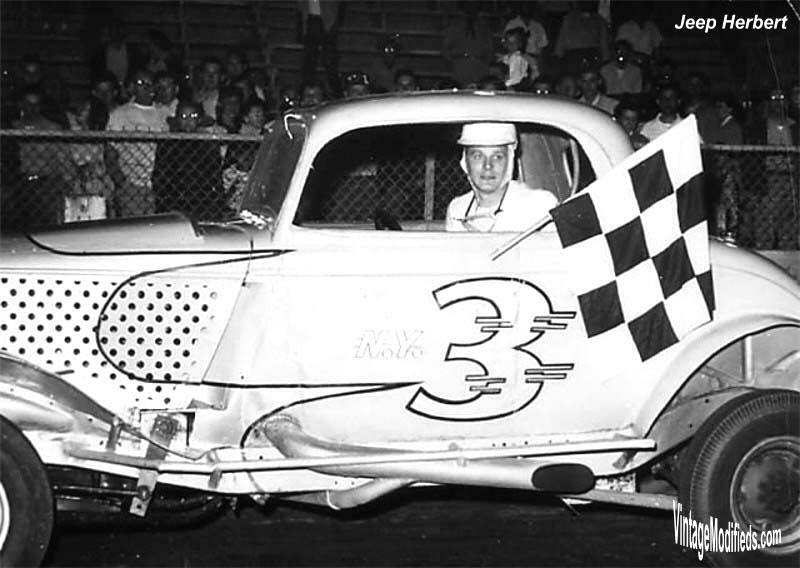 Arguably the snazziest ride Jeep would drive was for Vince Barbuto, whose cream - colored Chevy coupes with the black and yellow highlights were always kept as carefully as one could. 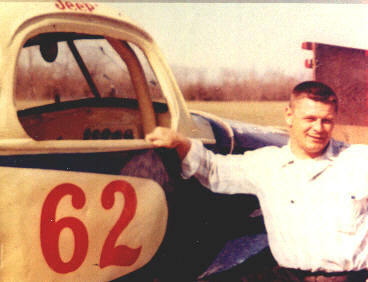 Jeep would have that ride in the mid 1960's, before Barbuto moved over to the young Justice of the Peace, Jack Farquhar and the team abconded to the Valley. 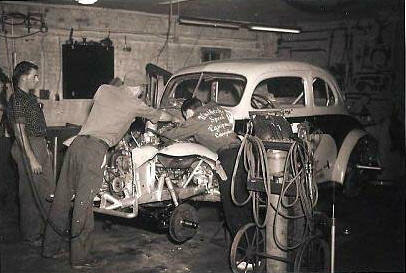 Jeep won at least one feature at Victoria with this car while his successor also did with the Teresco and Mancini 685. 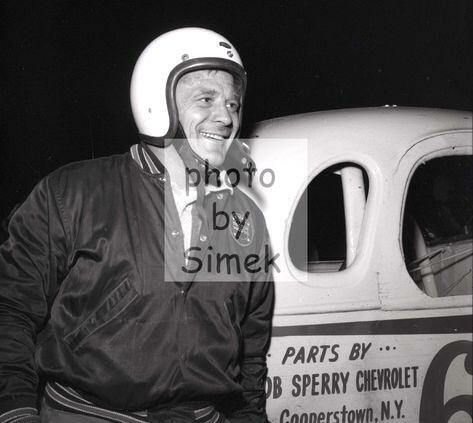 This was one of Jeep's last rides. at what then was their favorite track. 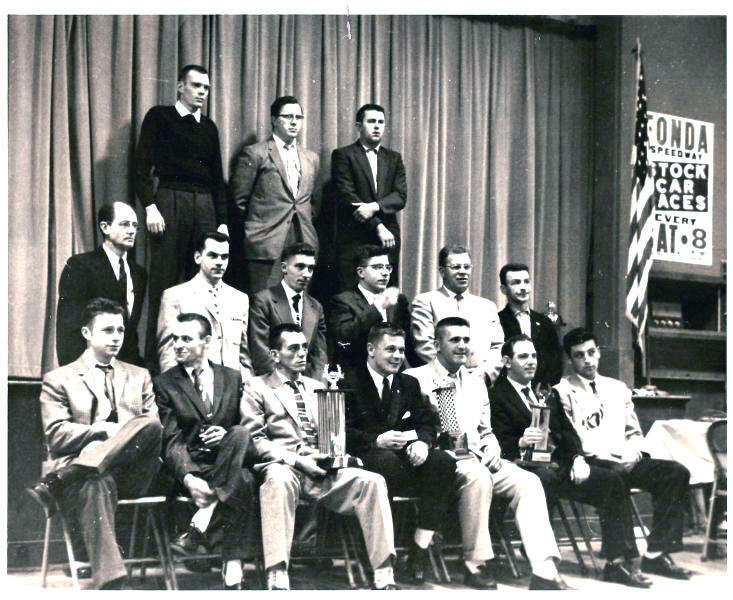 presenting the awards. 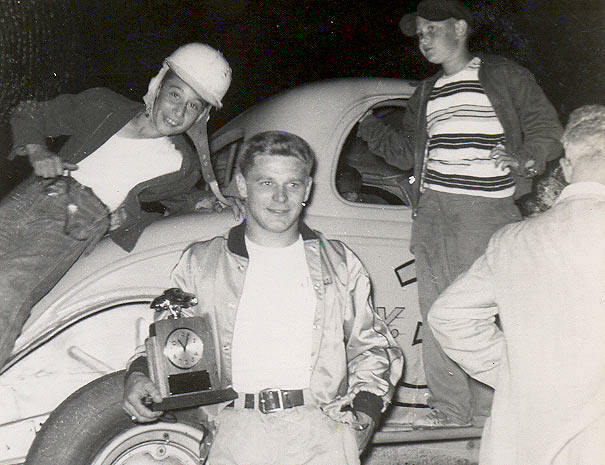 Chet Hames at left. 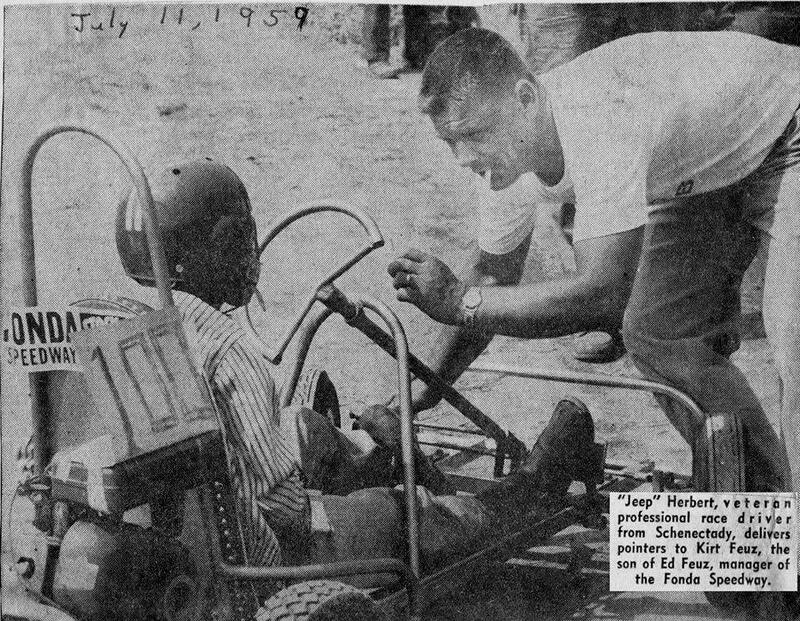 to run the best in later years. 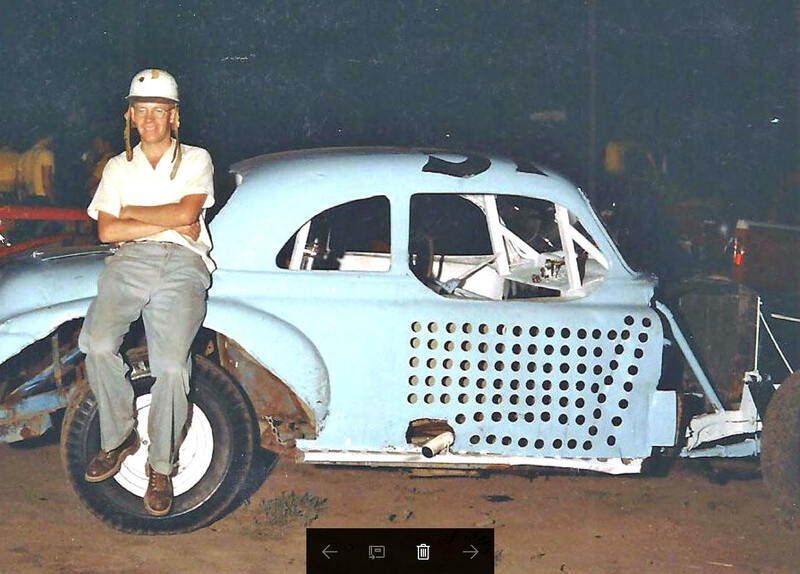 Another pose with the Barbuto car. 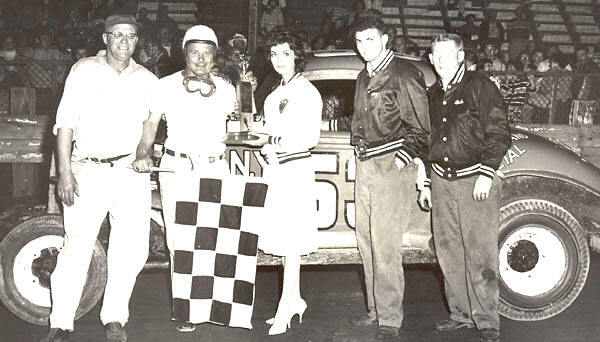 Victory Lane with the potent, B&M - powered Peter Hollebrand 53, usually driven by Chuck Mahoney. 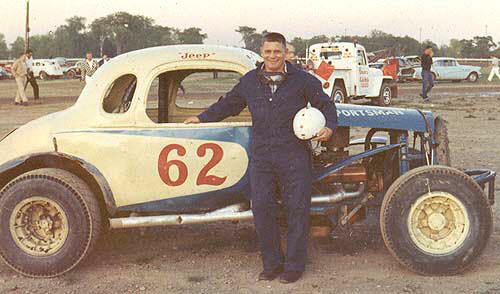 At the very end of a long career, with racing technology changing and many of the old guard leaving the sport, Jeep would avert the end of his career for a while driving the Burley Hammond and Lou Strong 56 CT, a car campaigned at Stafford Springs by Chet Hunt. Jeep went well, but sustained an injury in the car and decided enough was enough. 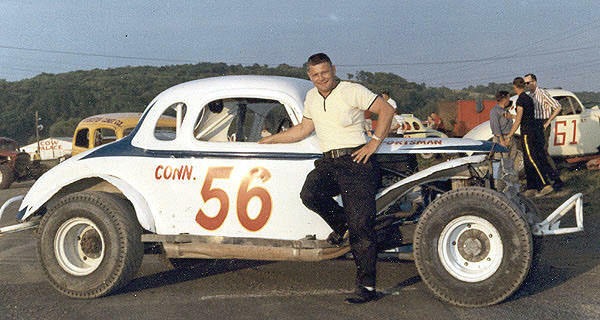 The 56 with Jeep at Fonda. 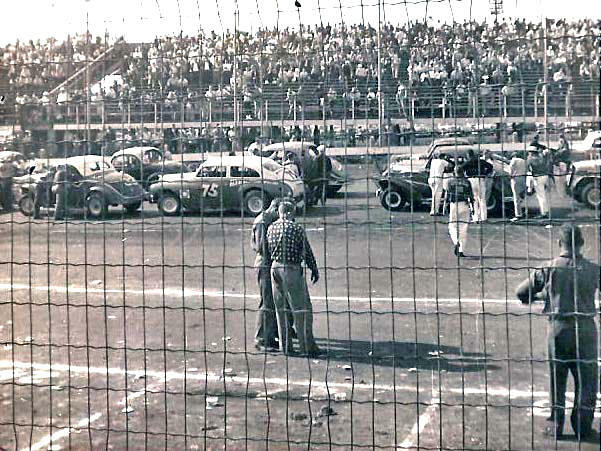 The 56 gets a flag at Stafford. 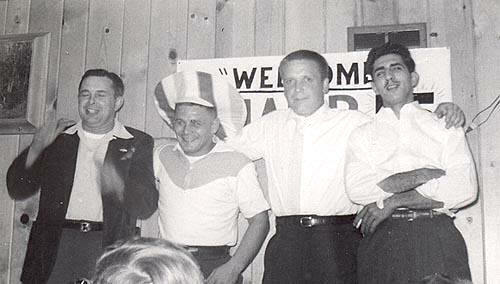 Jeep, at a post season banquet, hamming it up with Steve Danish, Bob Mott, and Pete Corey. Pete Corey may or may not have caused this. Hopefully not, they were pals. Jack Johnson but would mostly attend reunions and legends' nights after that. 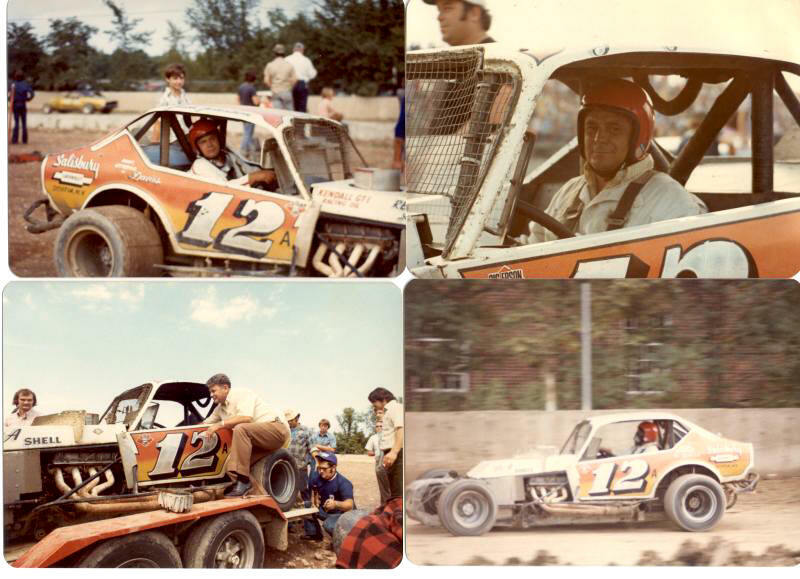 A collage of photos of Jeep with Jack Johnson's then -state - of -the - art modified. 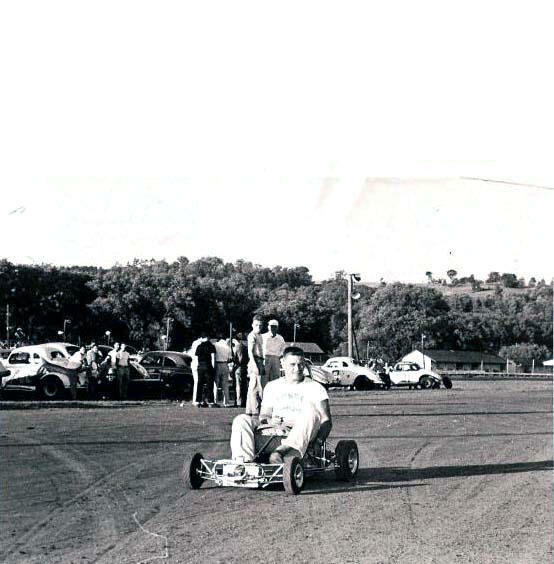 never gotten a chance to drive a modern chassis. 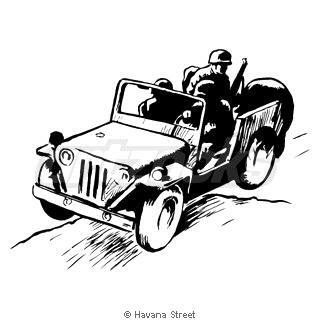 not born when Jeep retired. One of the last photos we have of Jeep.